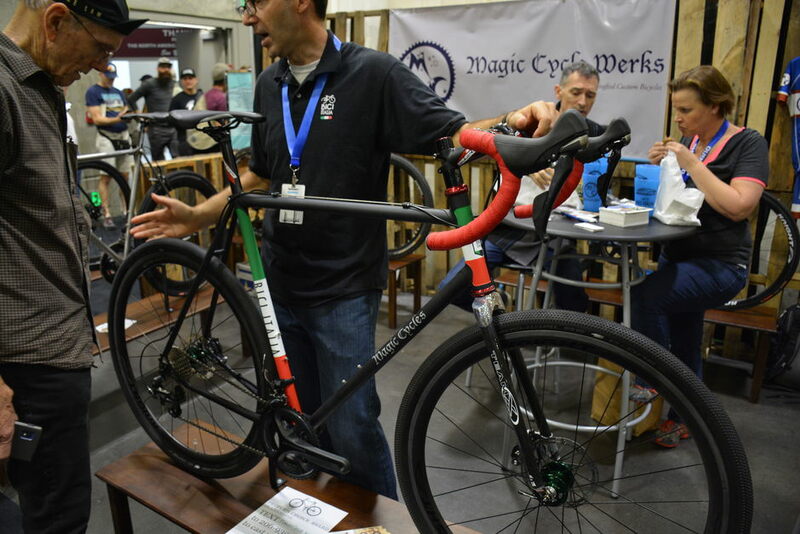 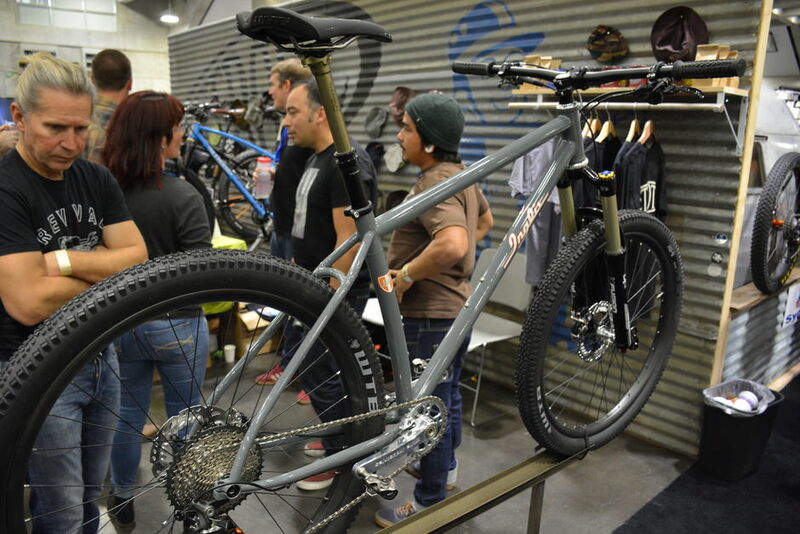 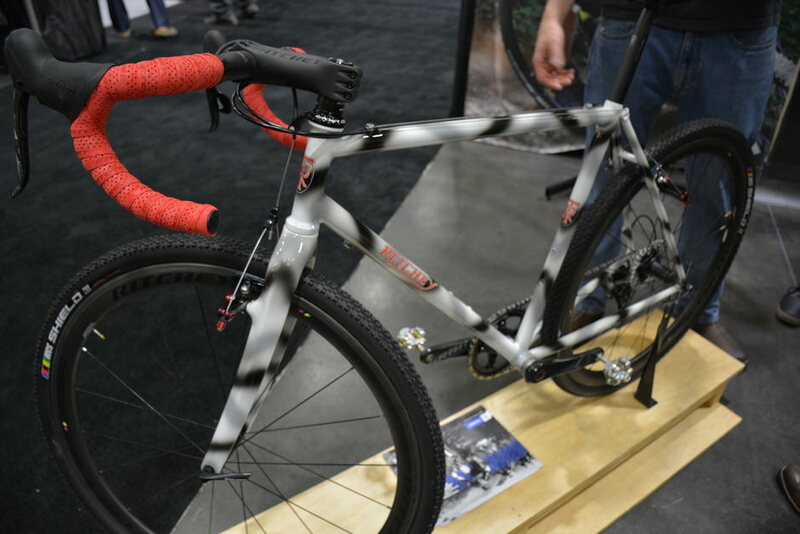 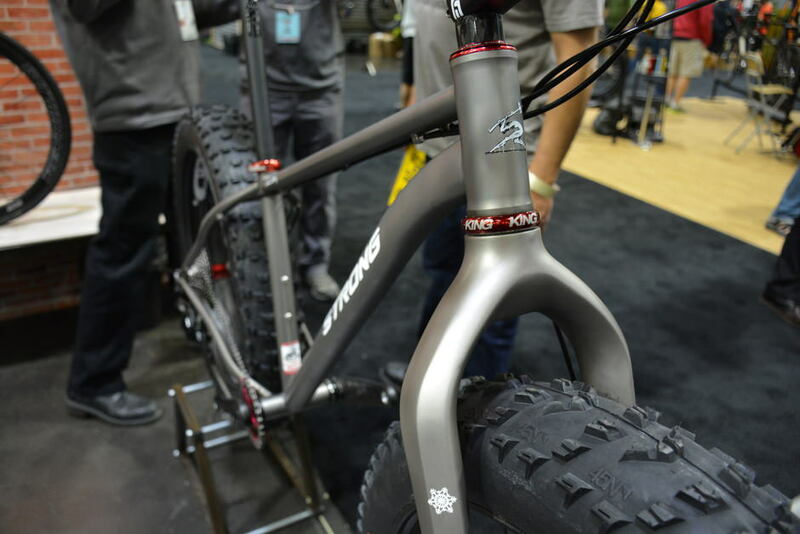 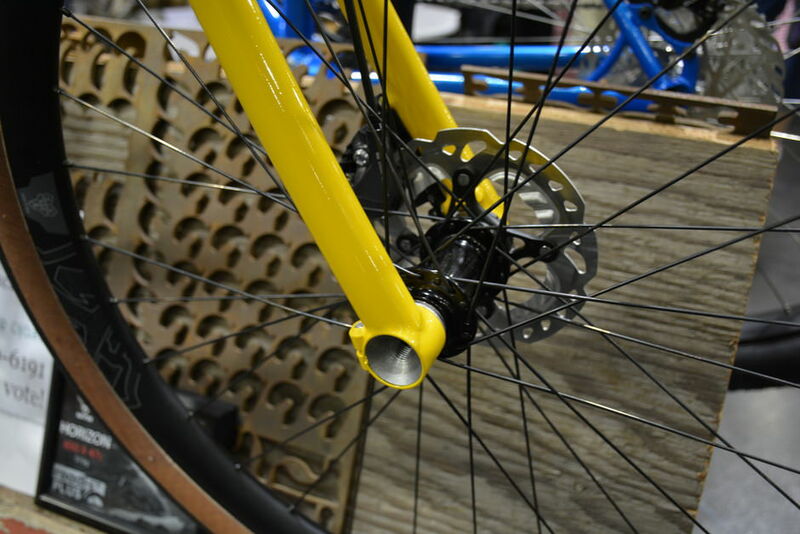 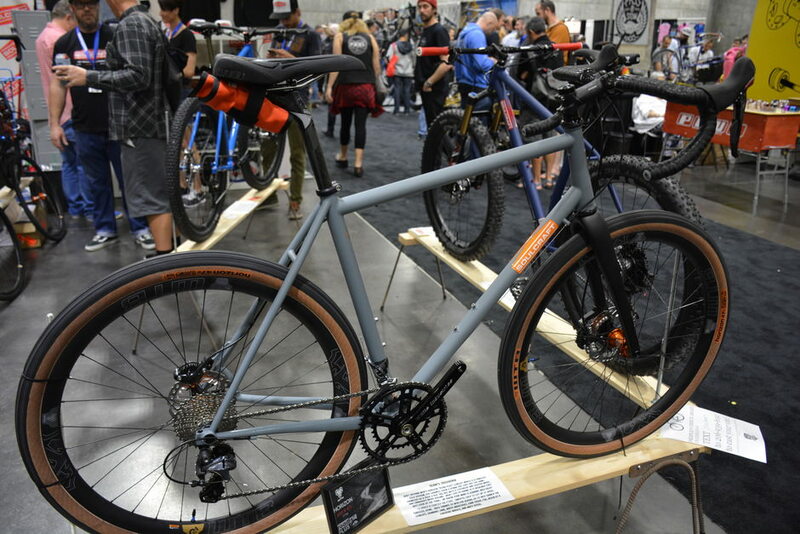 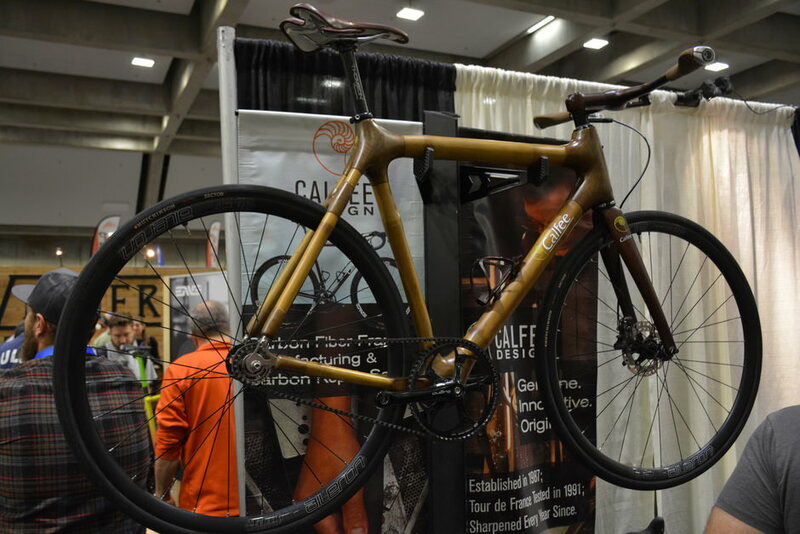 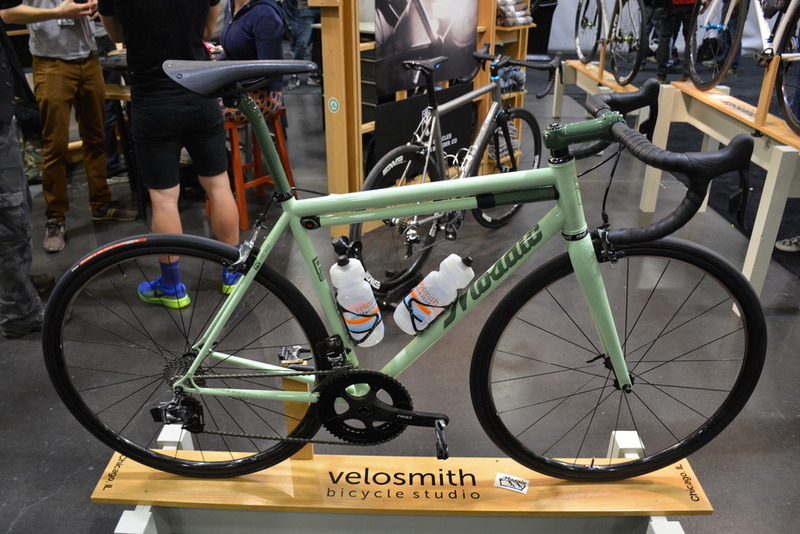 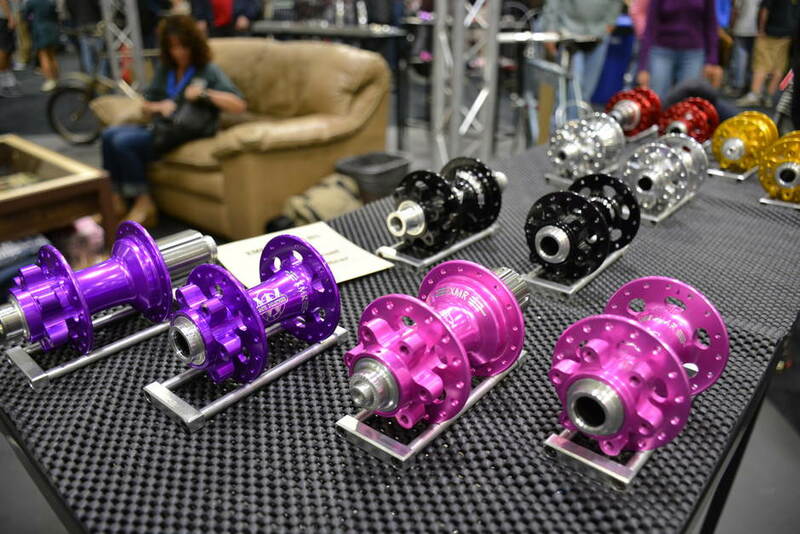 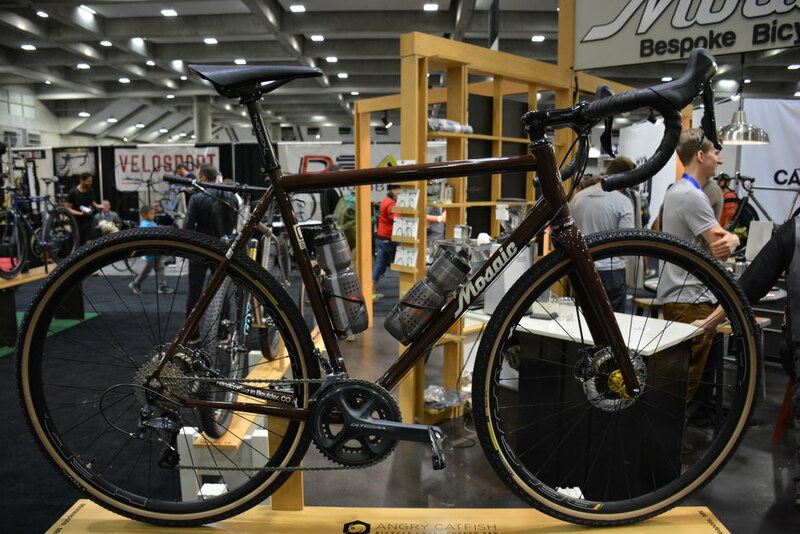 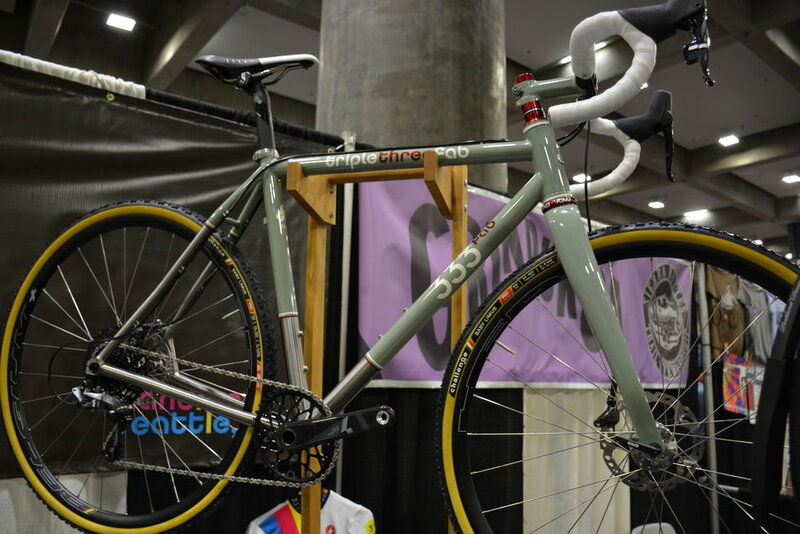 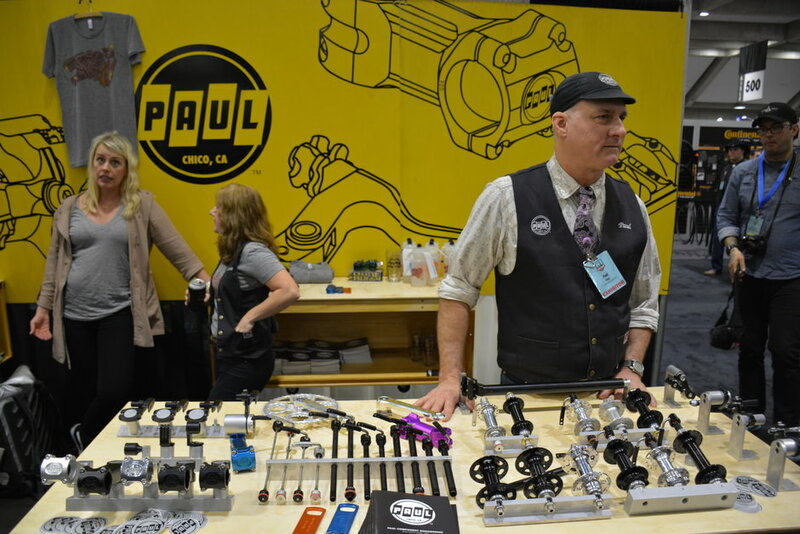 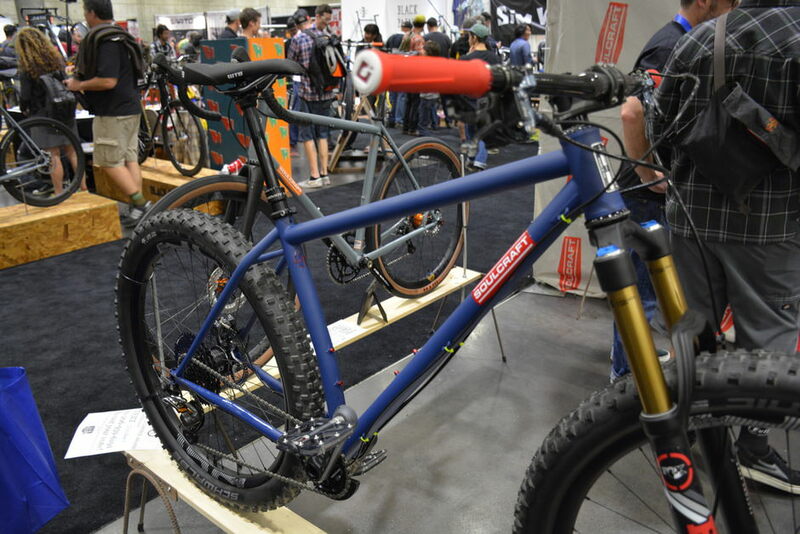 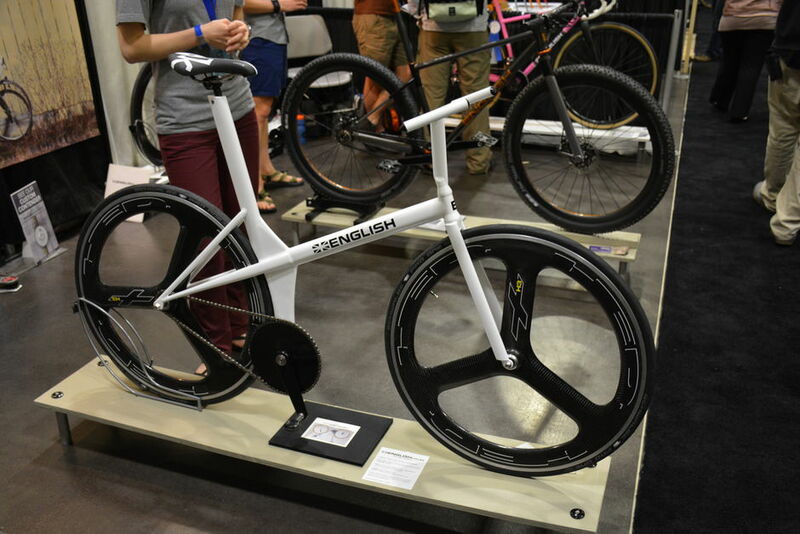 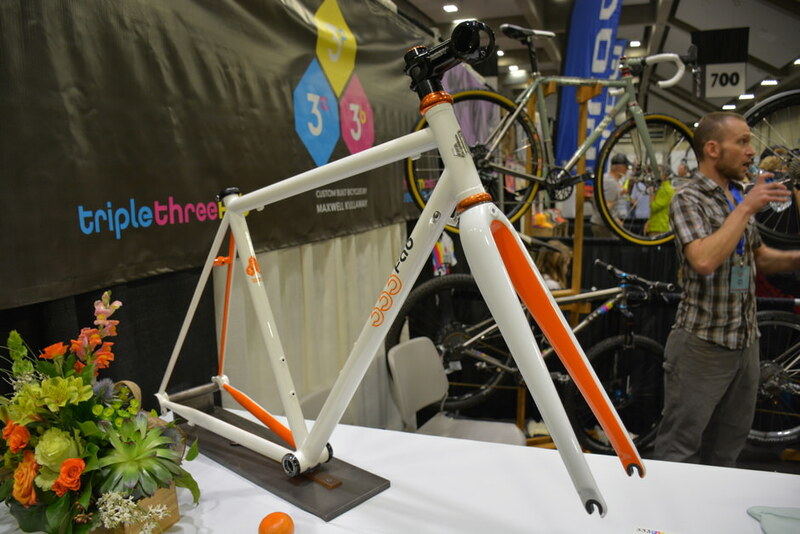 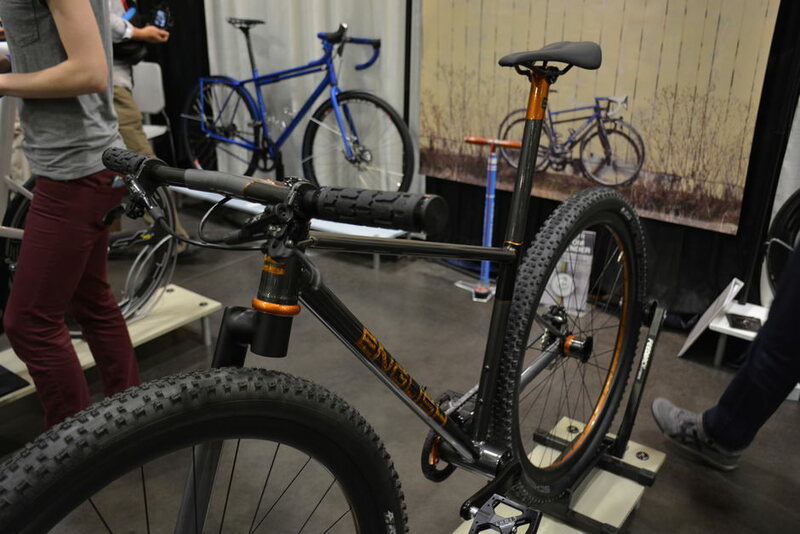 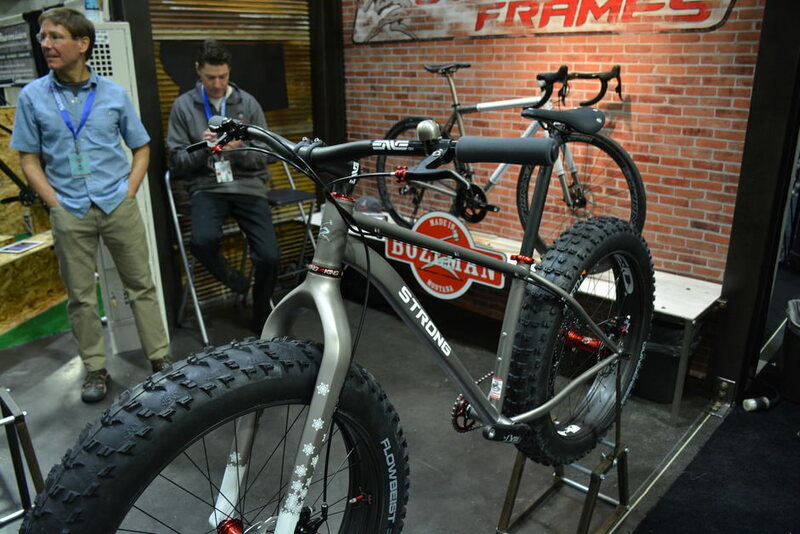 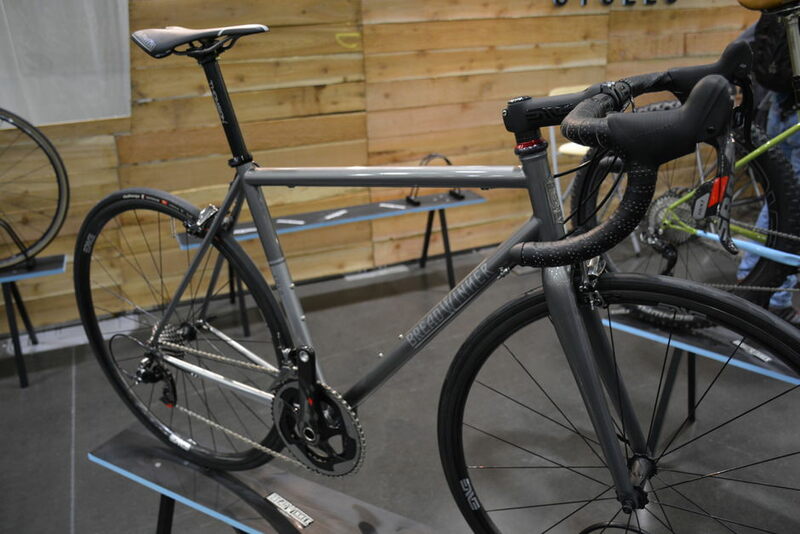 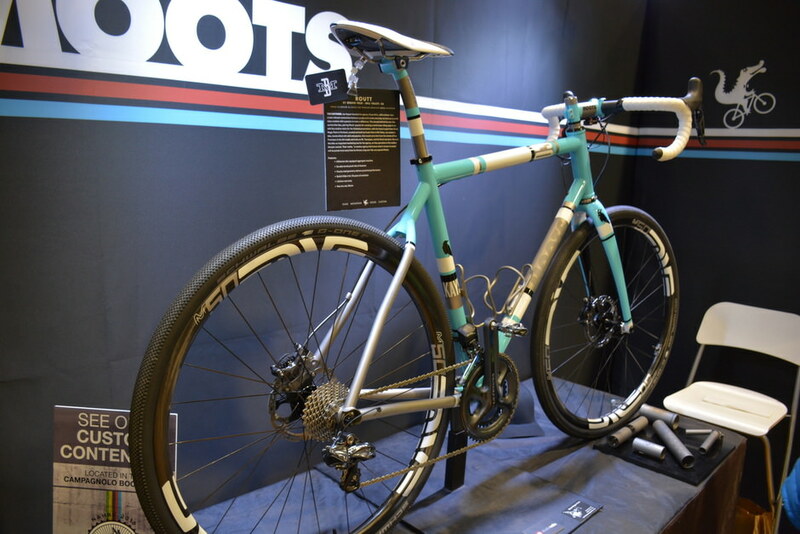 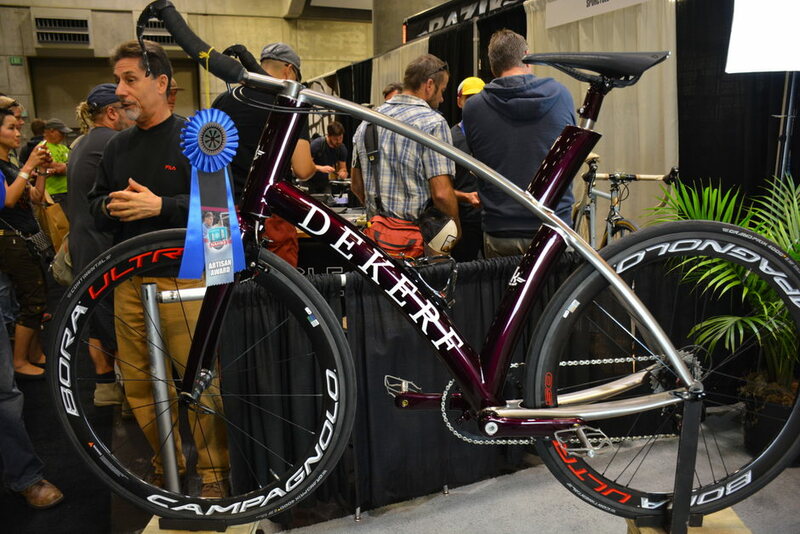 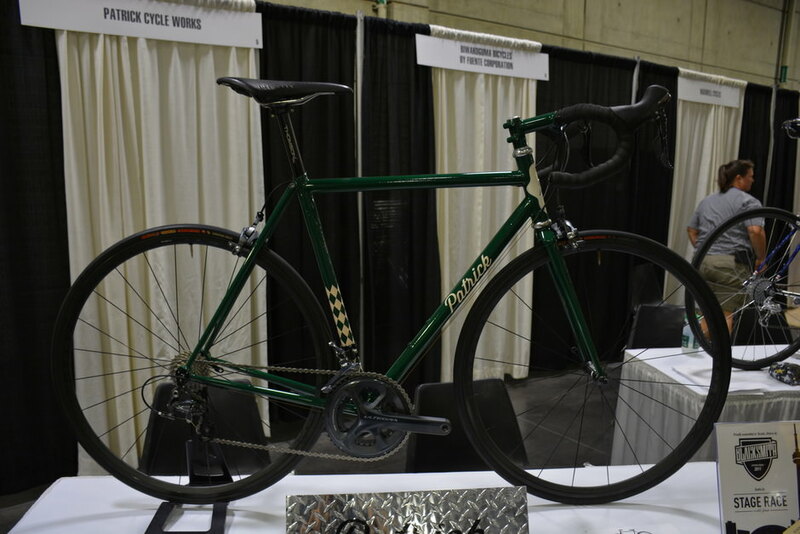 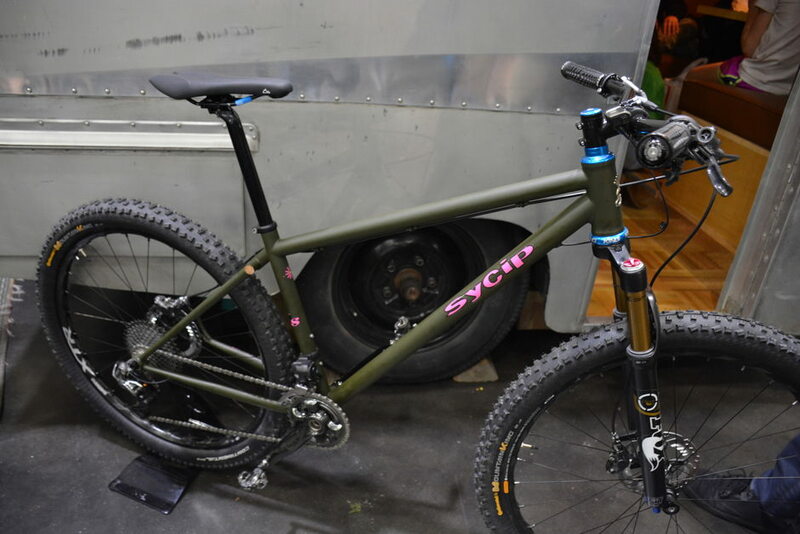 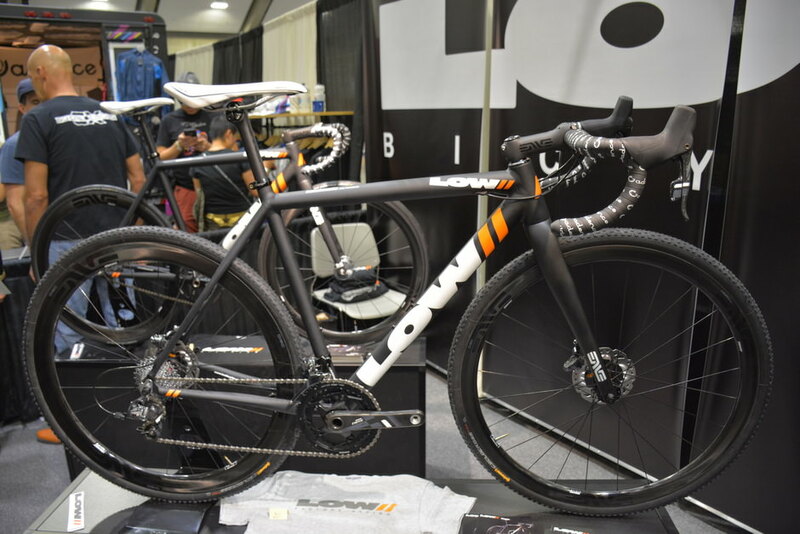 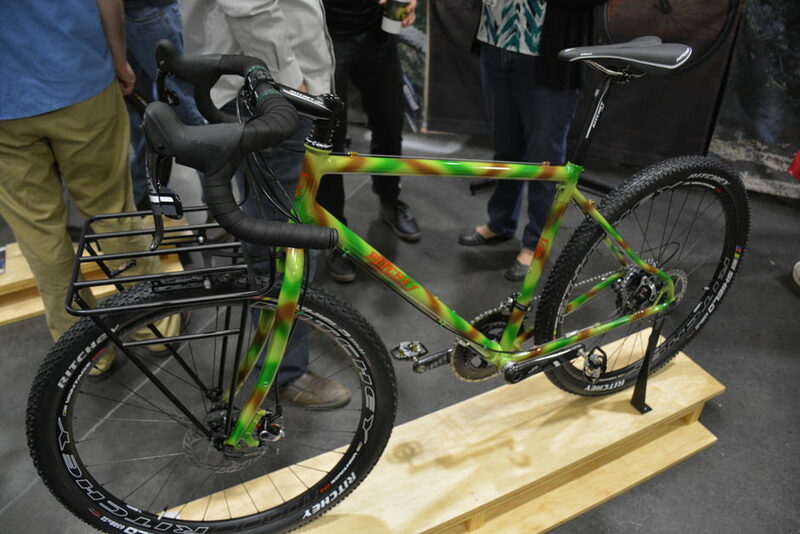 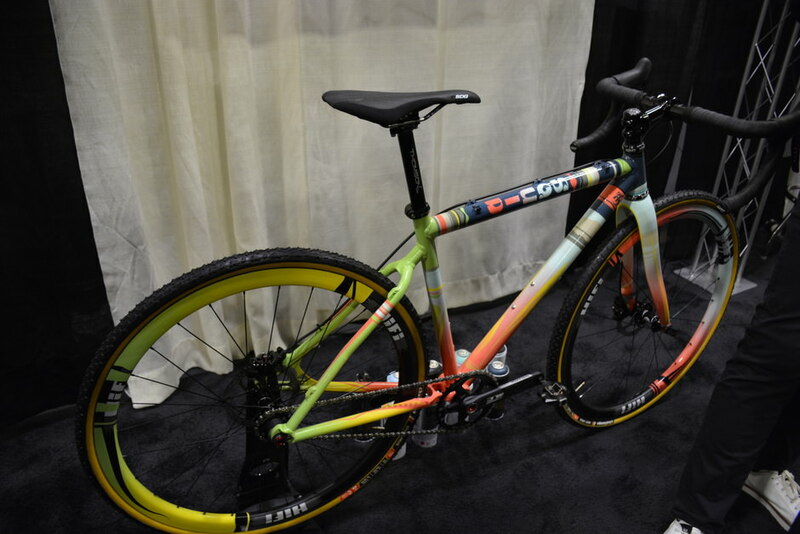 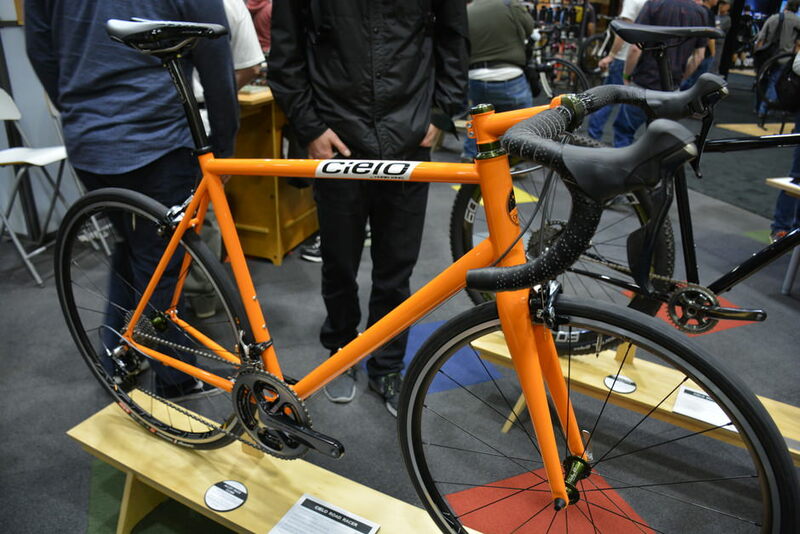 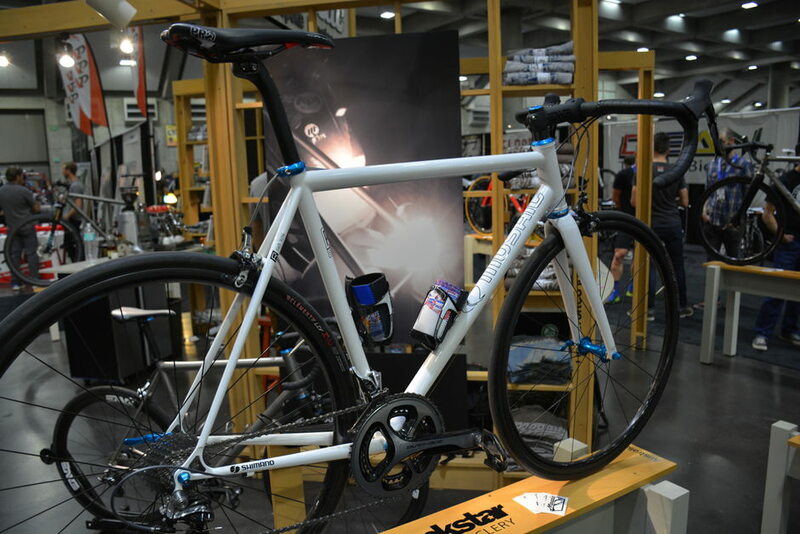 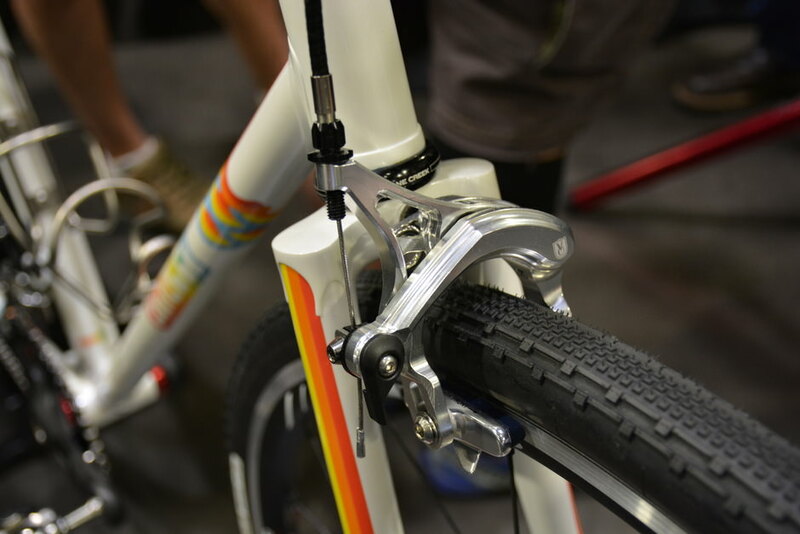 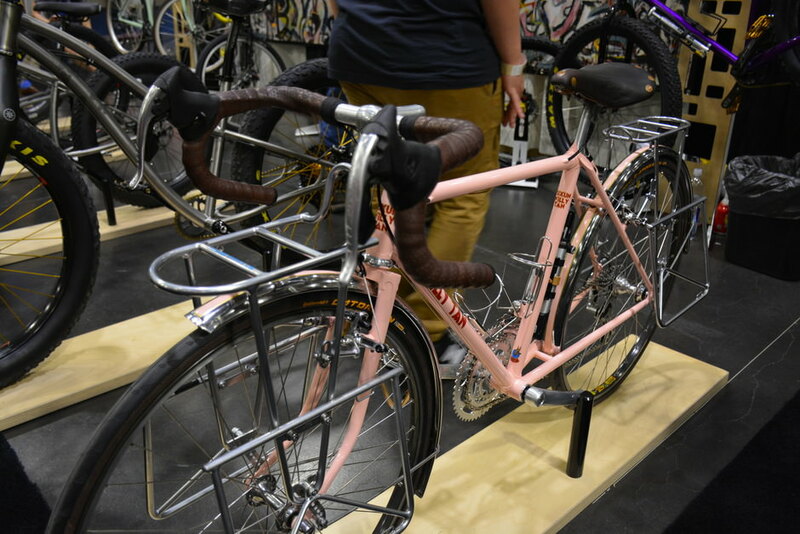 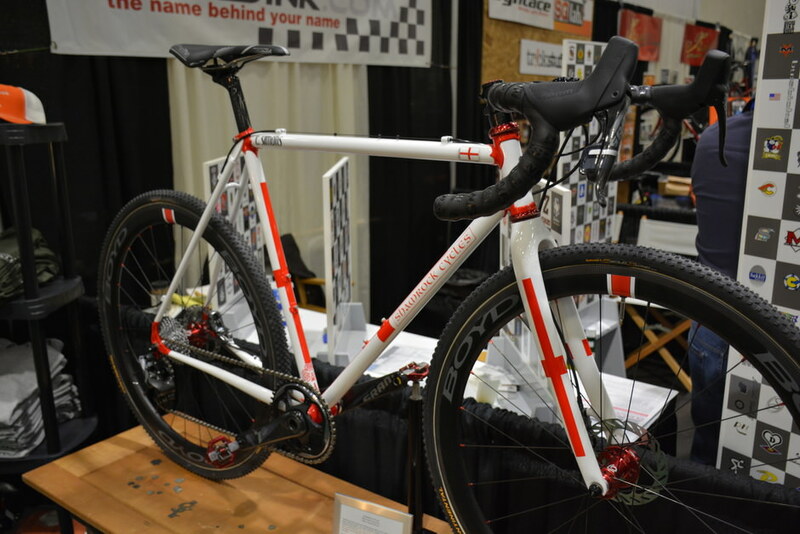 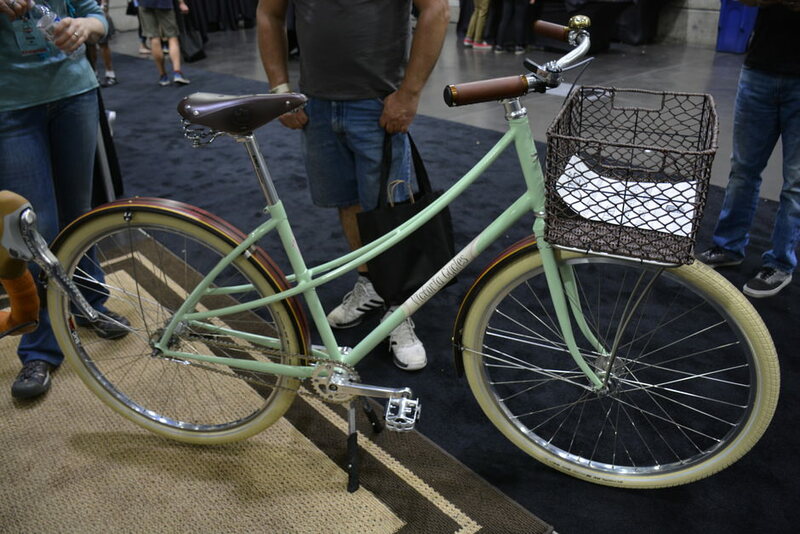 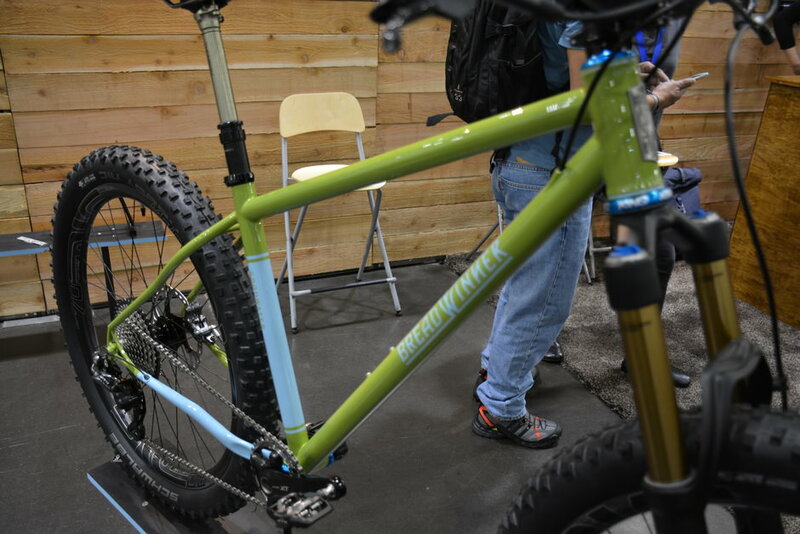 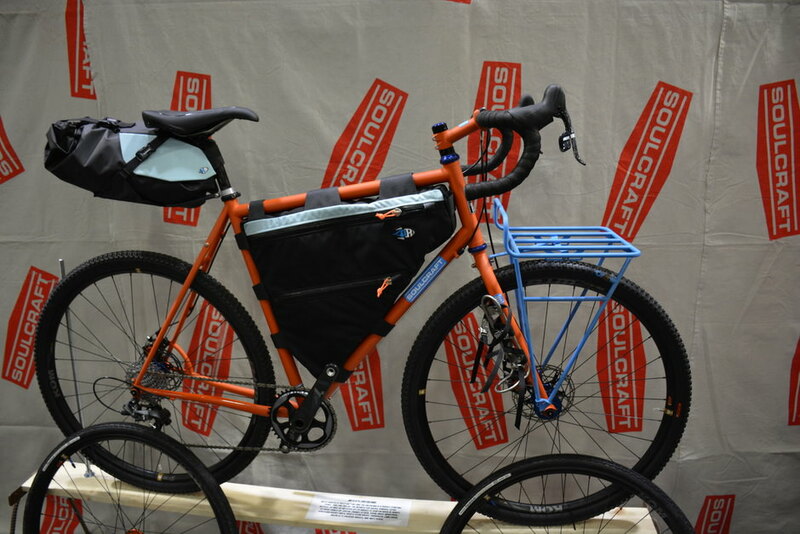 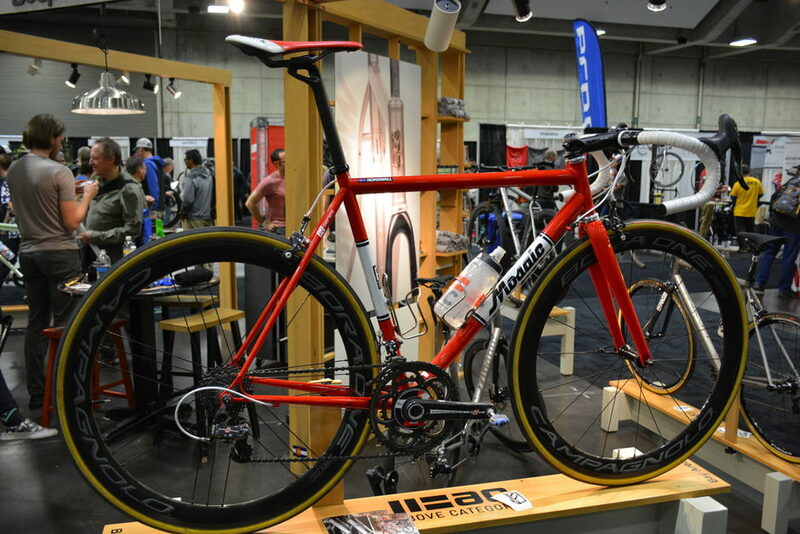 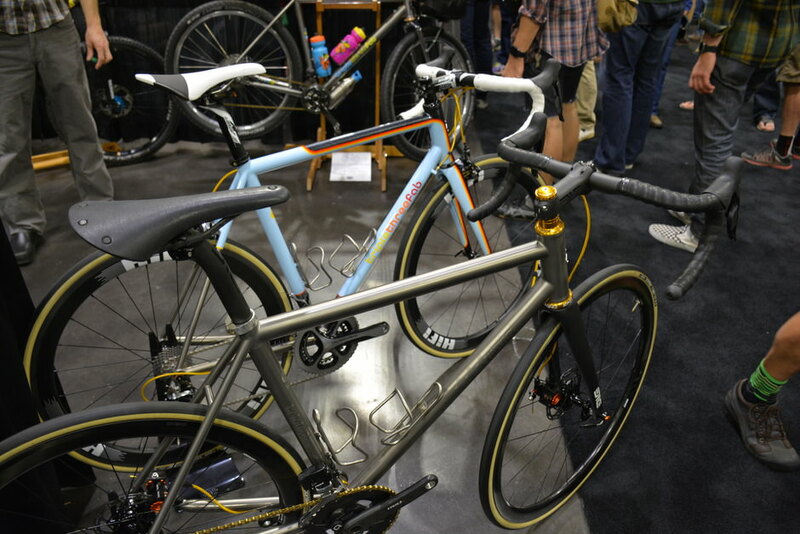 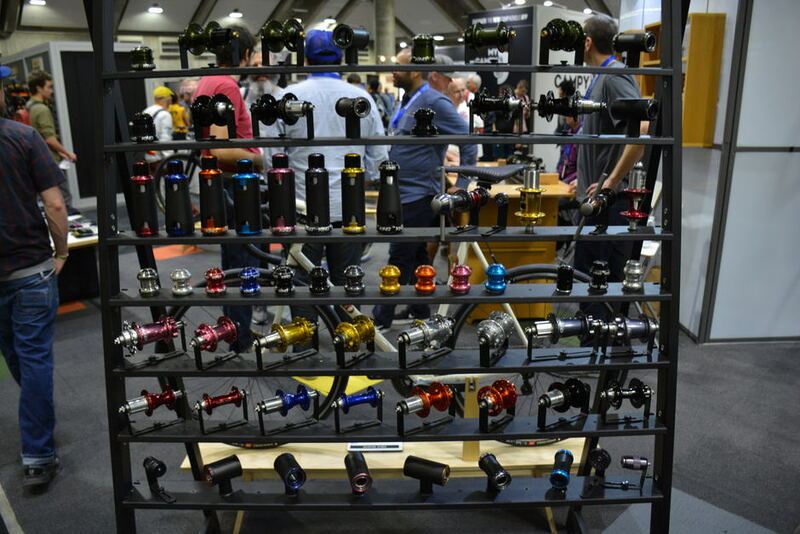 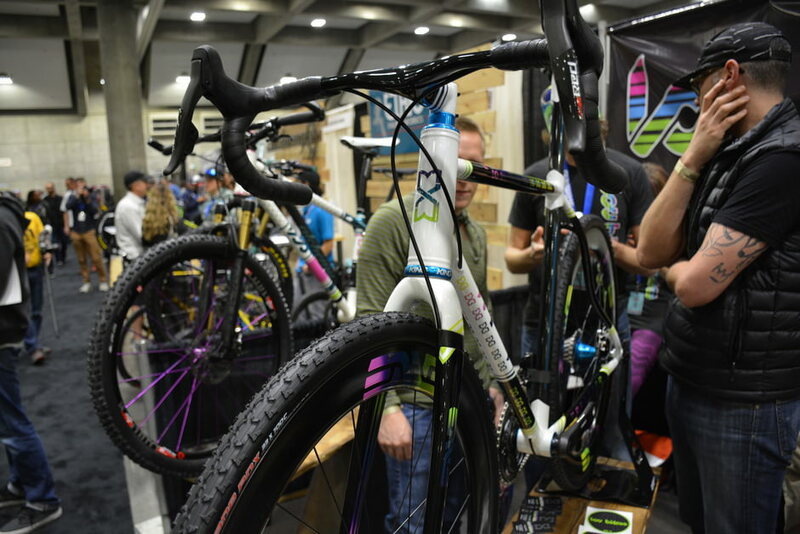 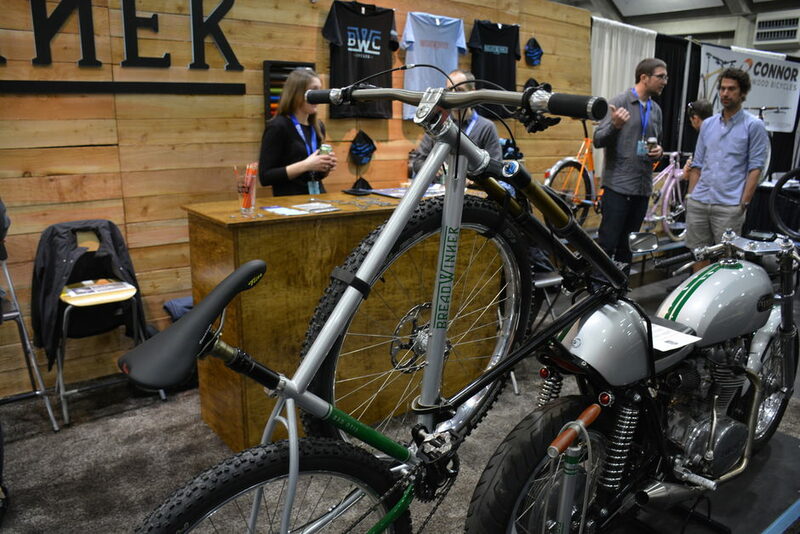 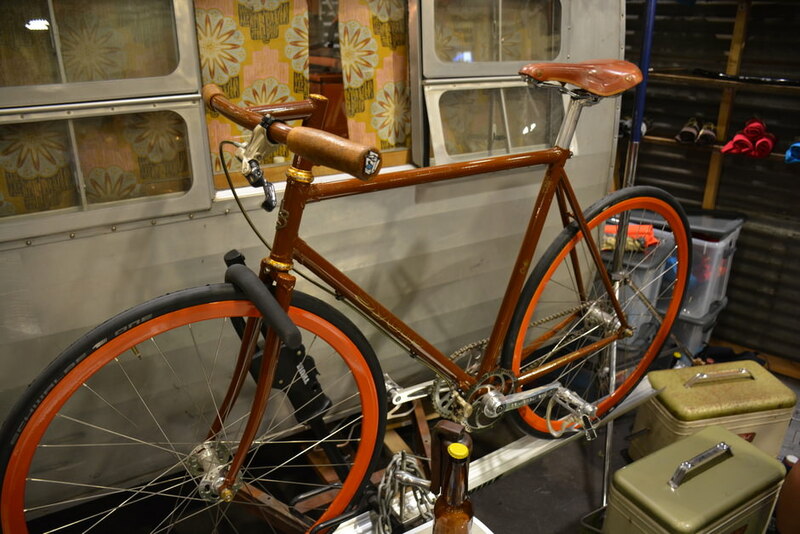 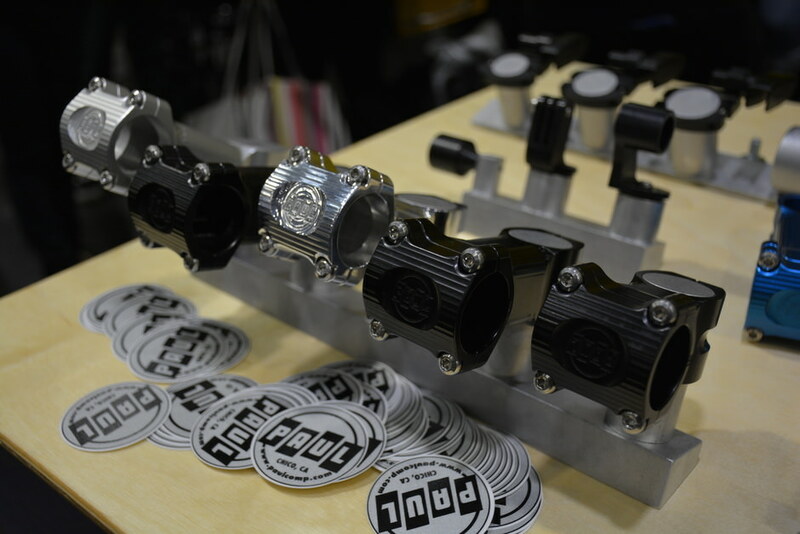 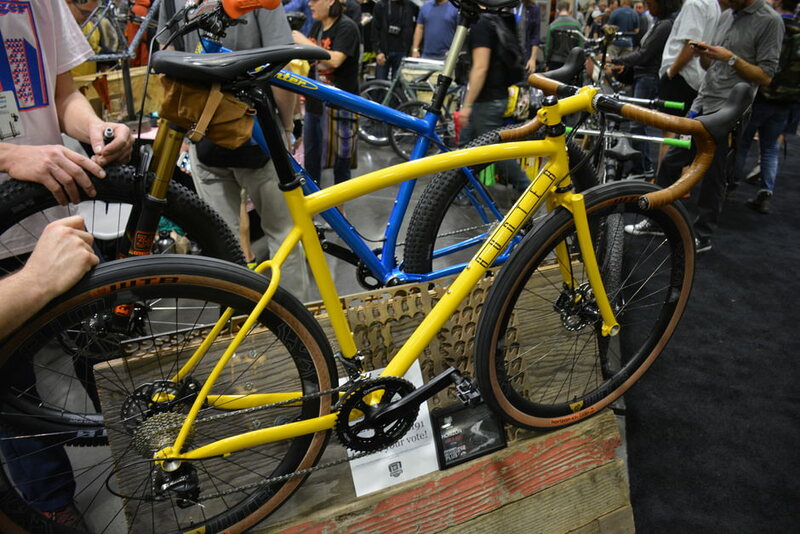 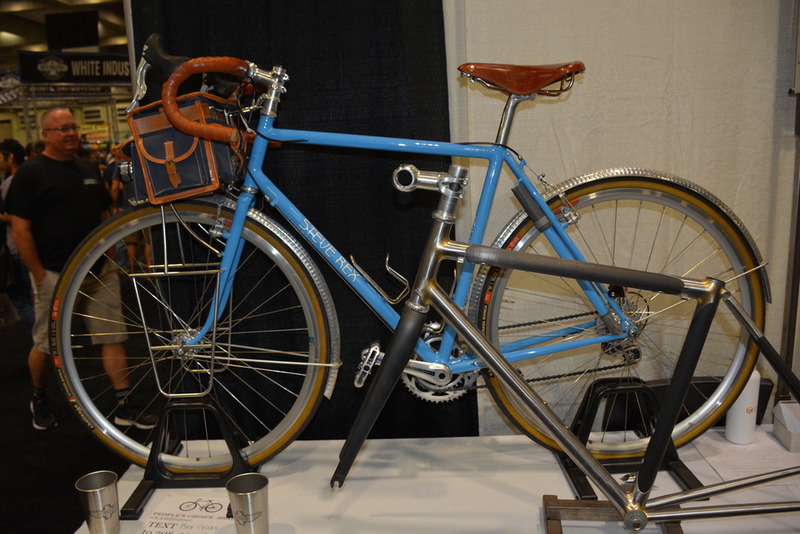 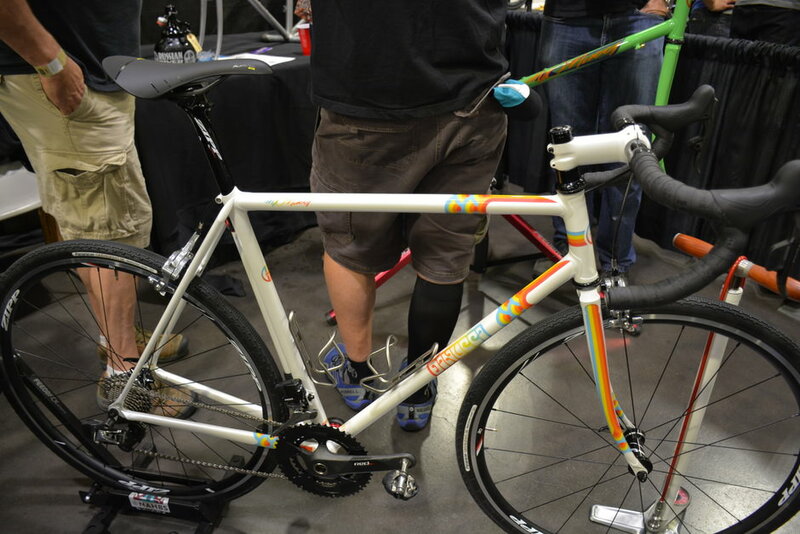 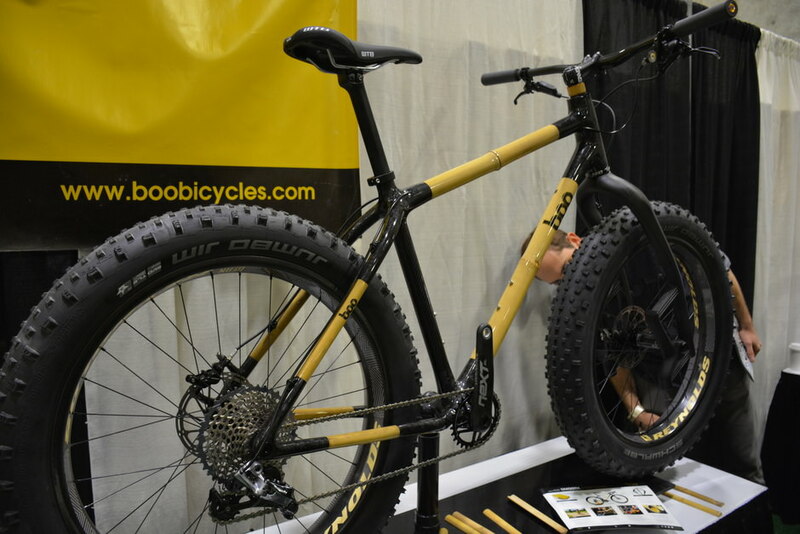 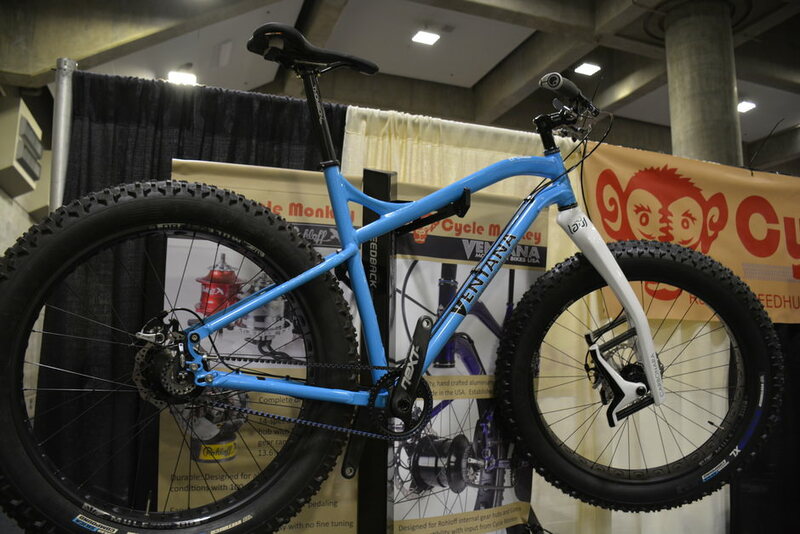 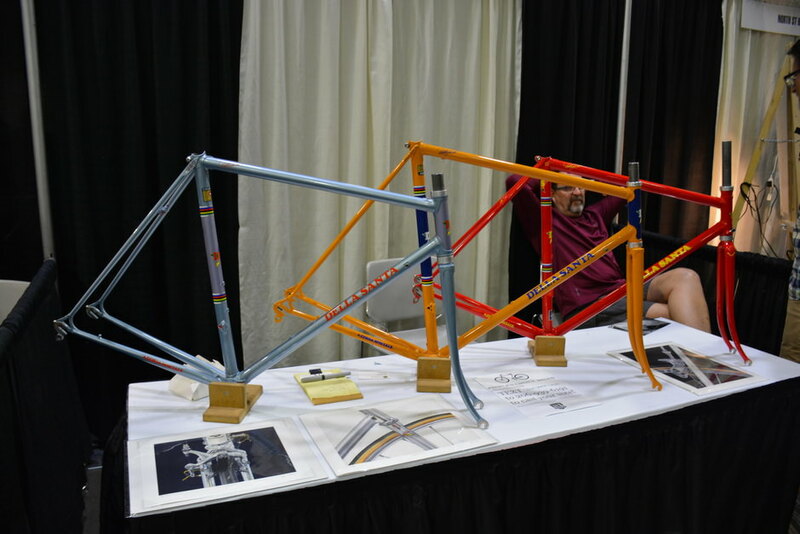 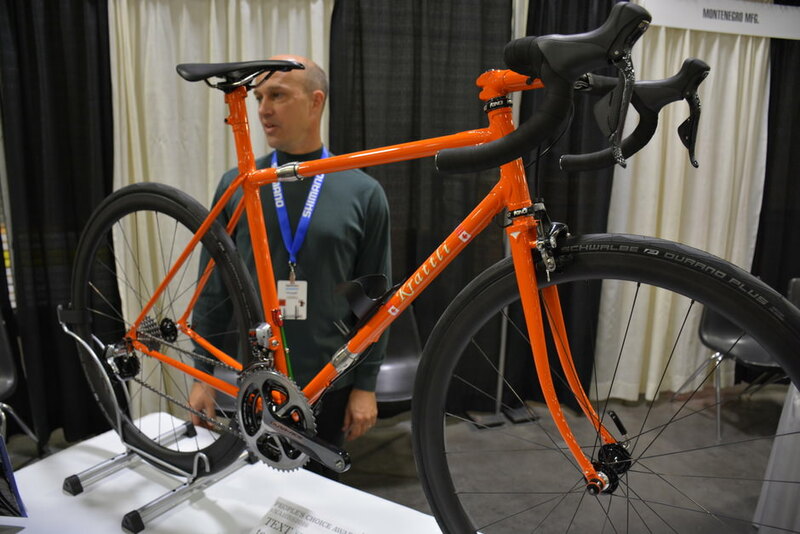 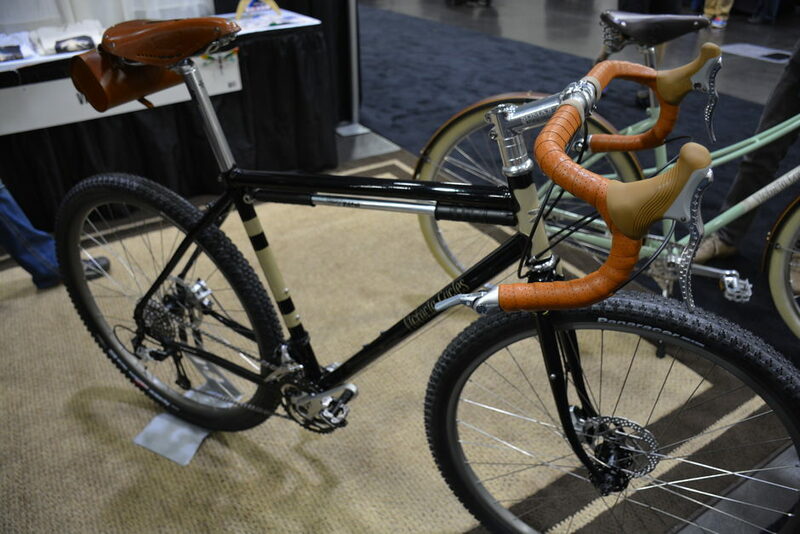 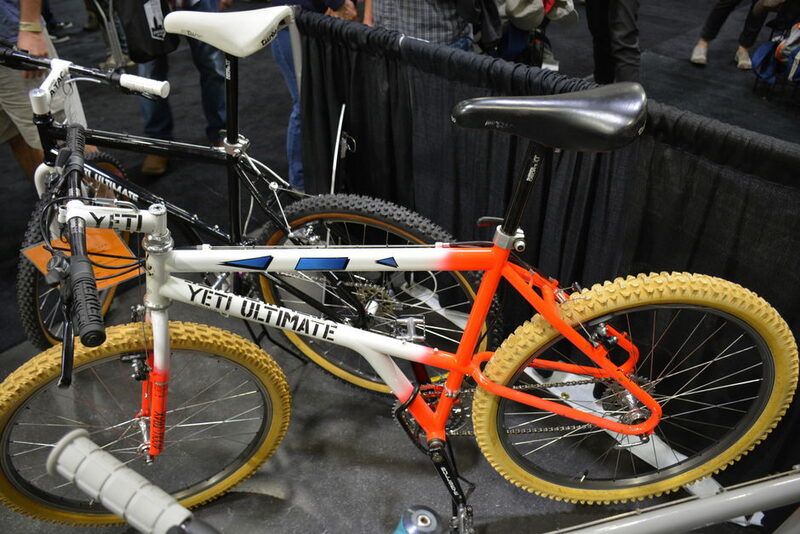 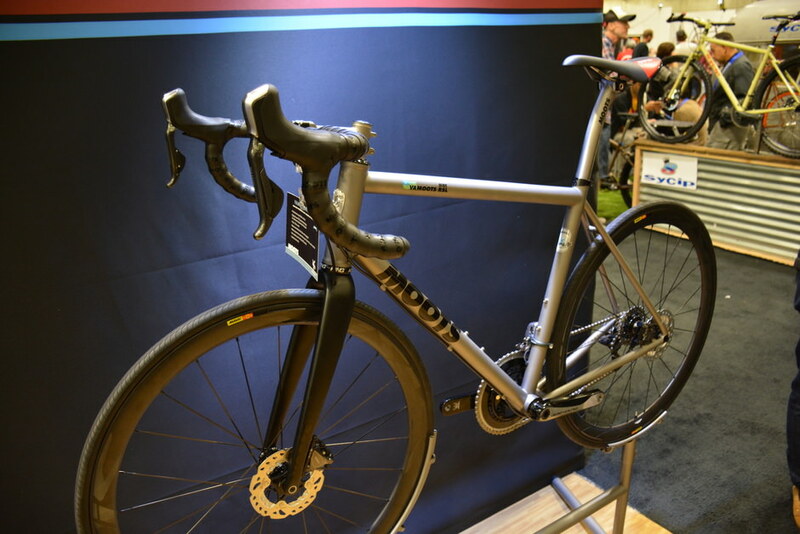 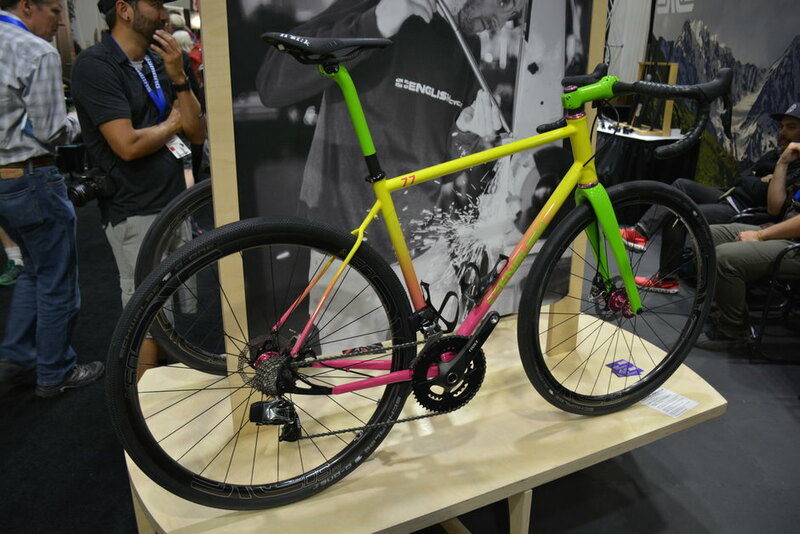 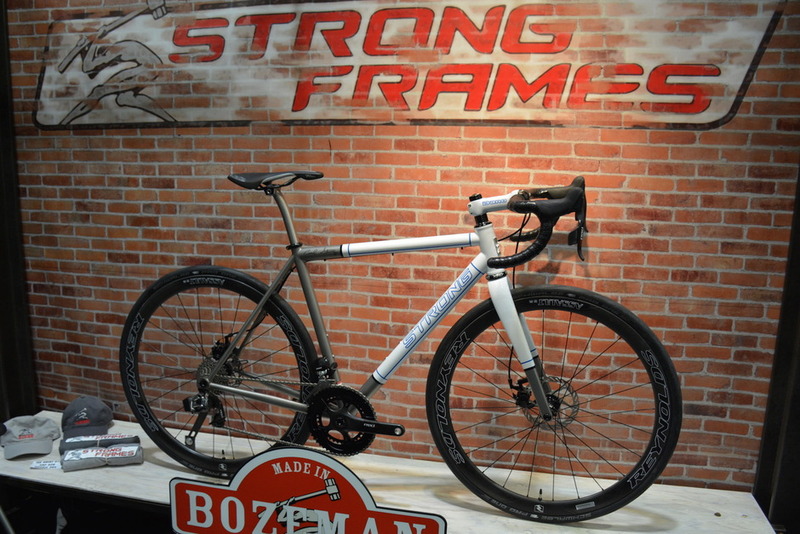 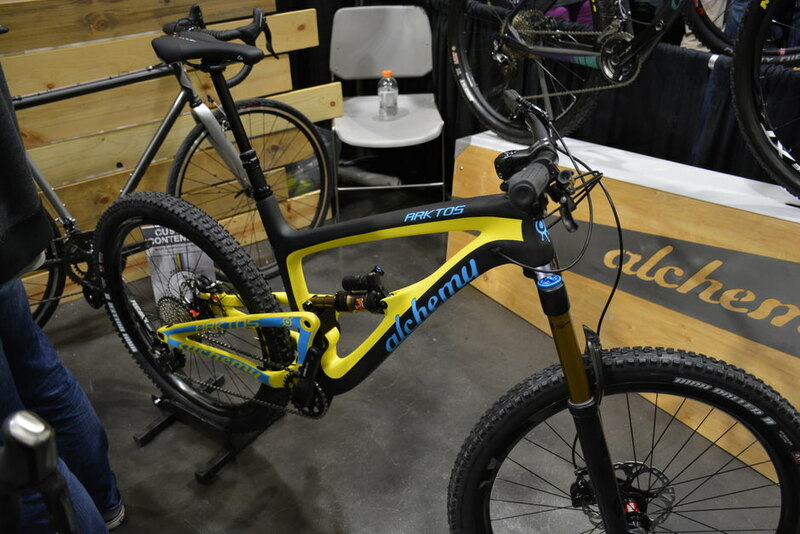 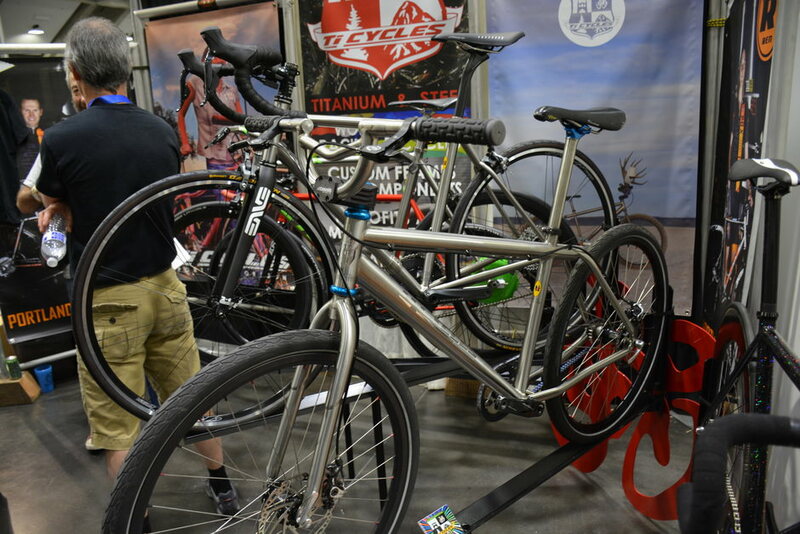 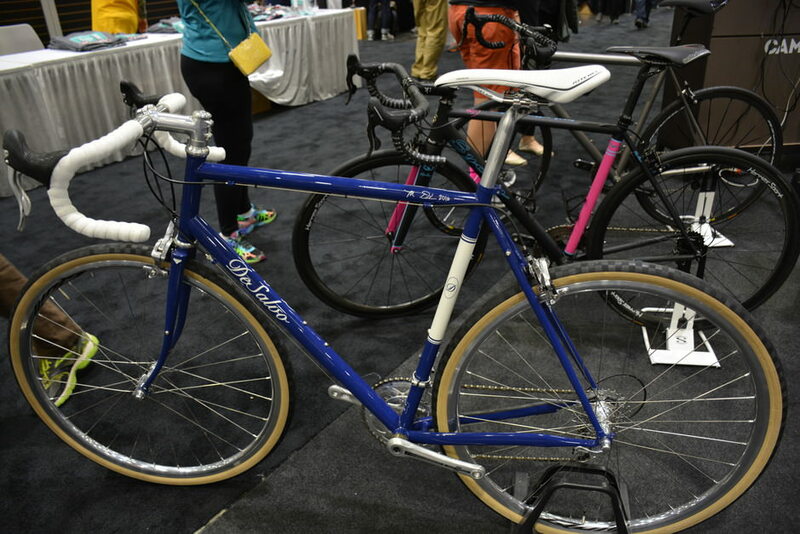 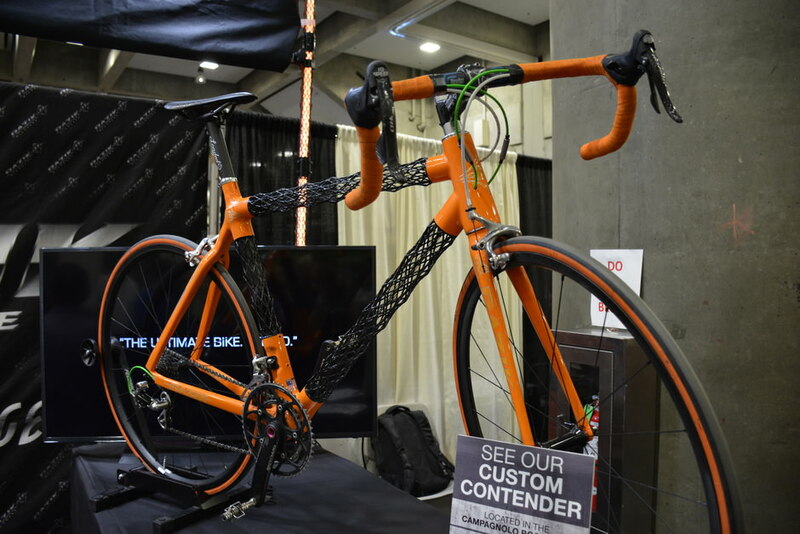 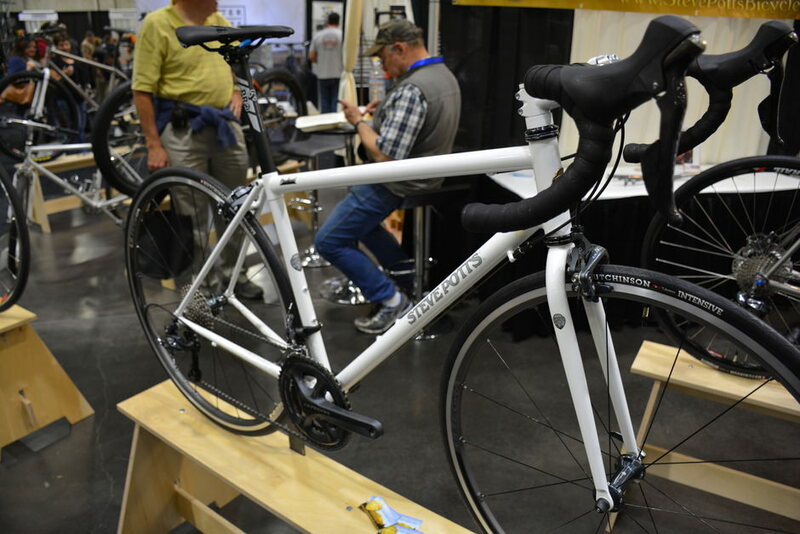 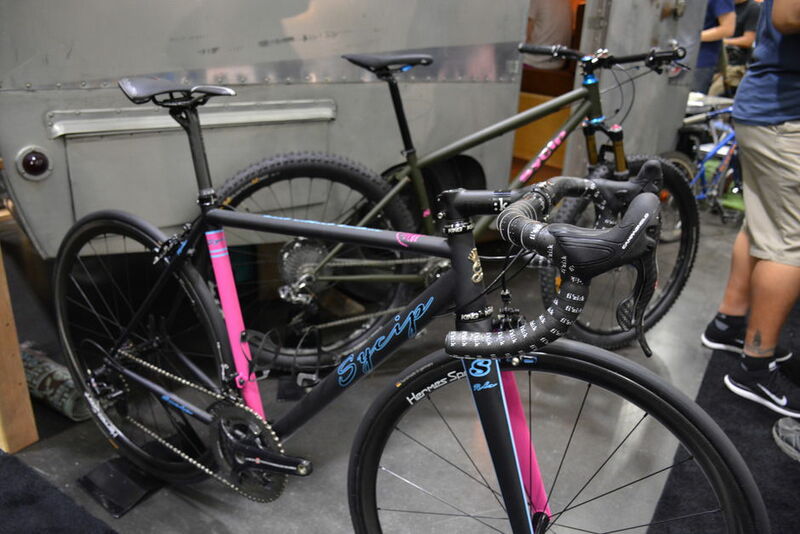 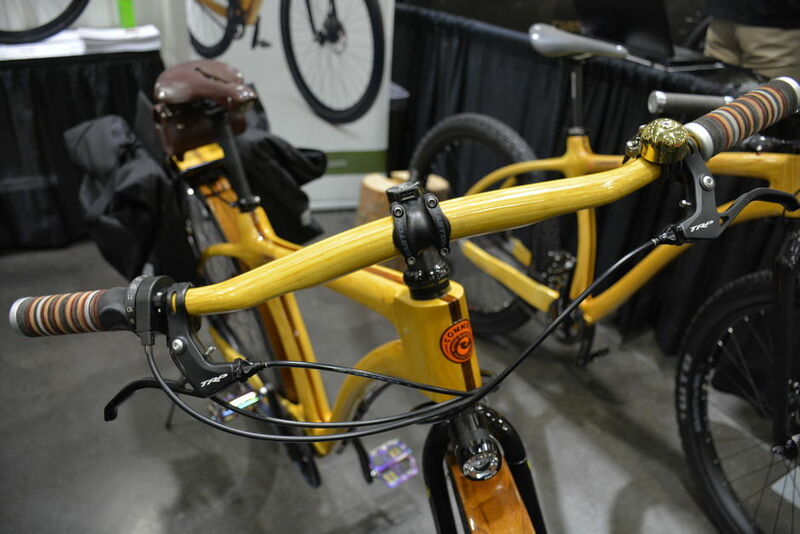 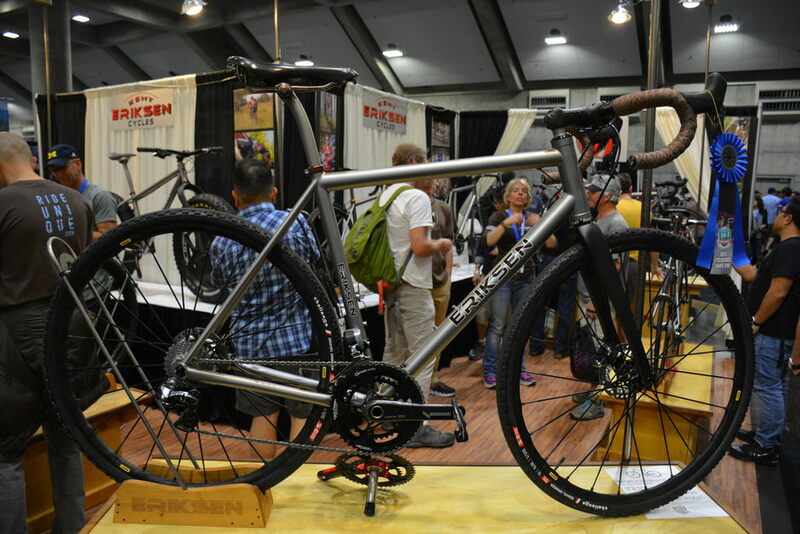 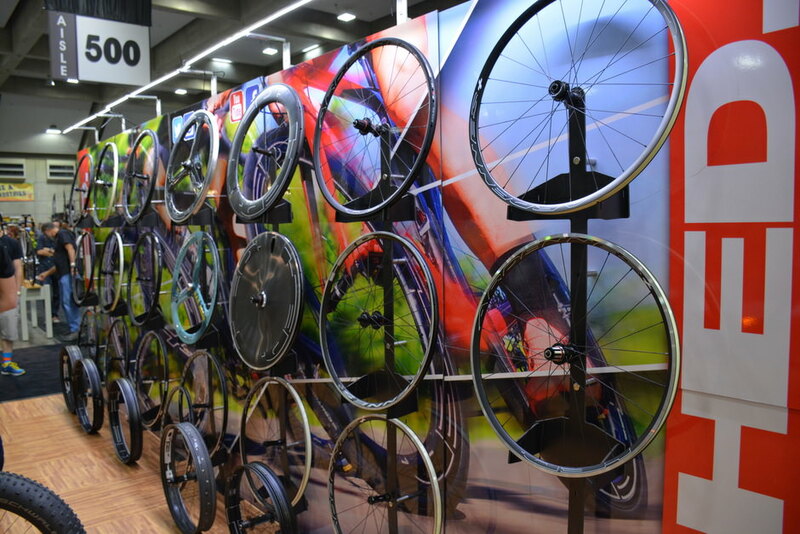 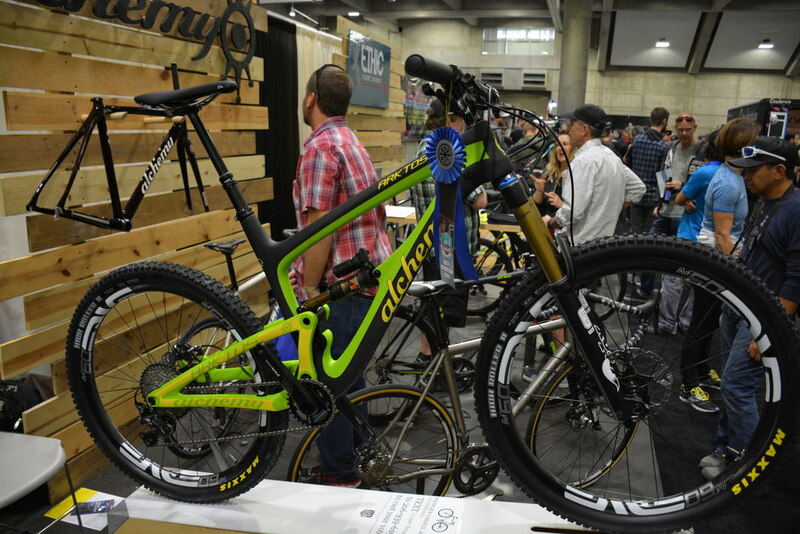 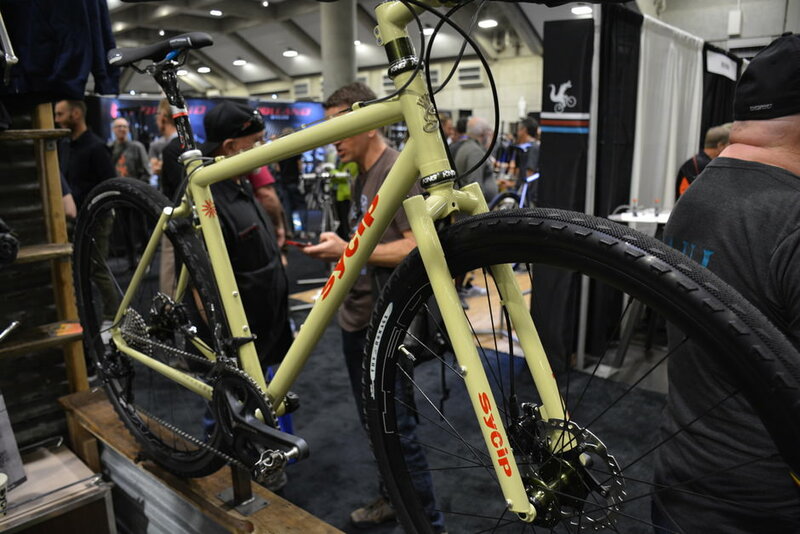 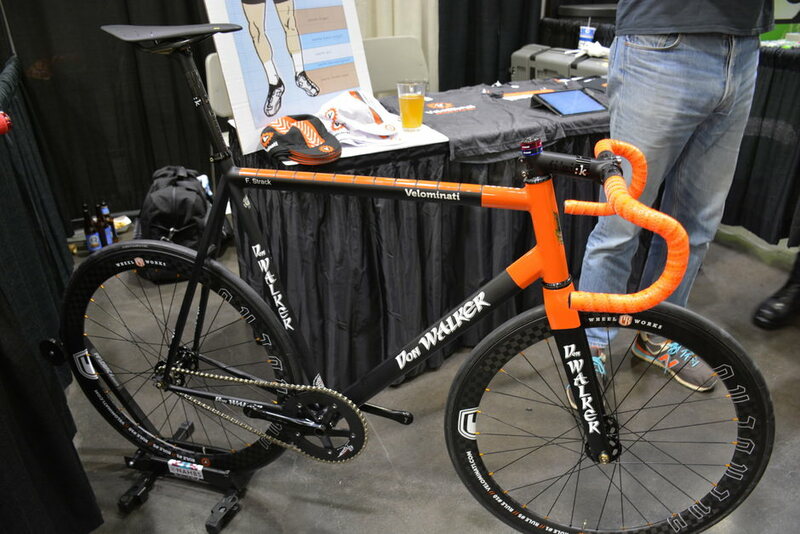 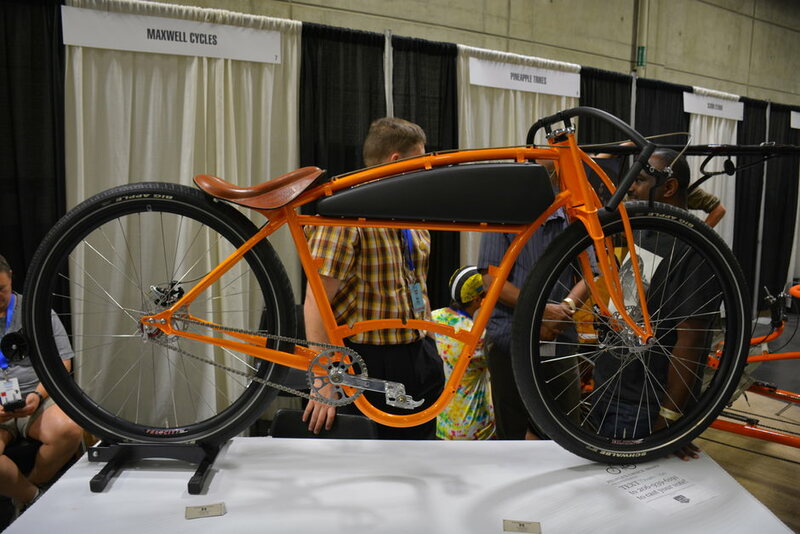 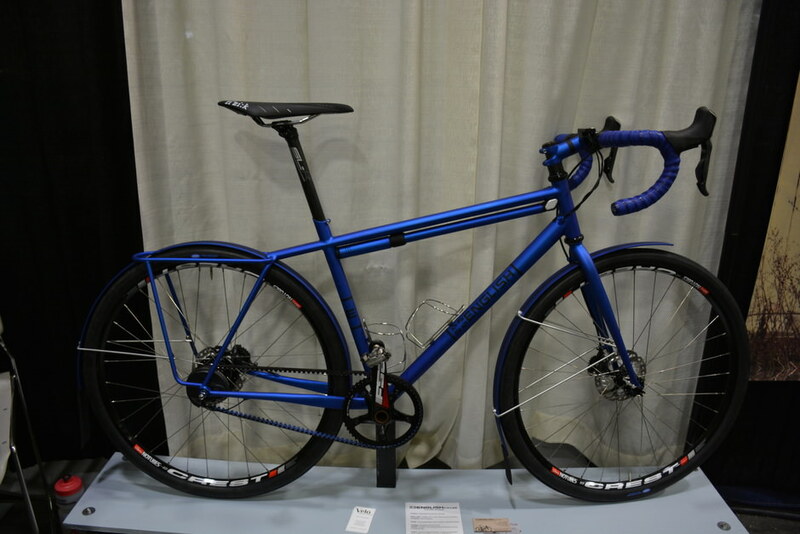 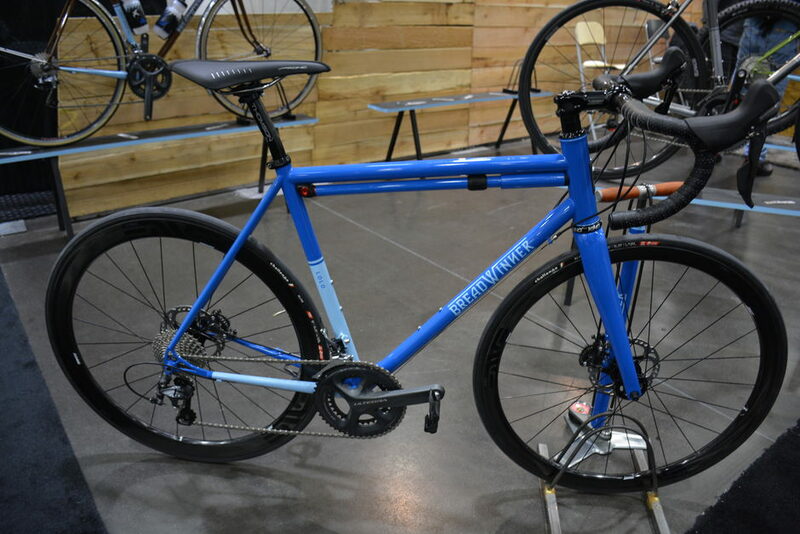 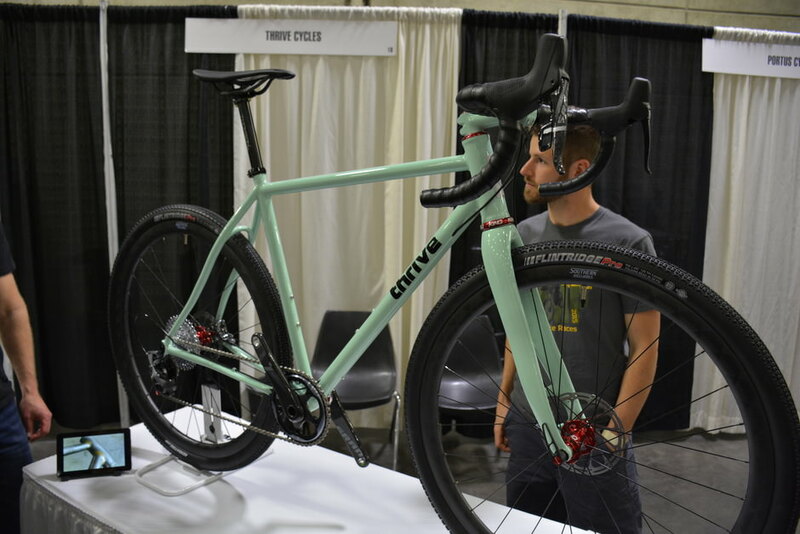 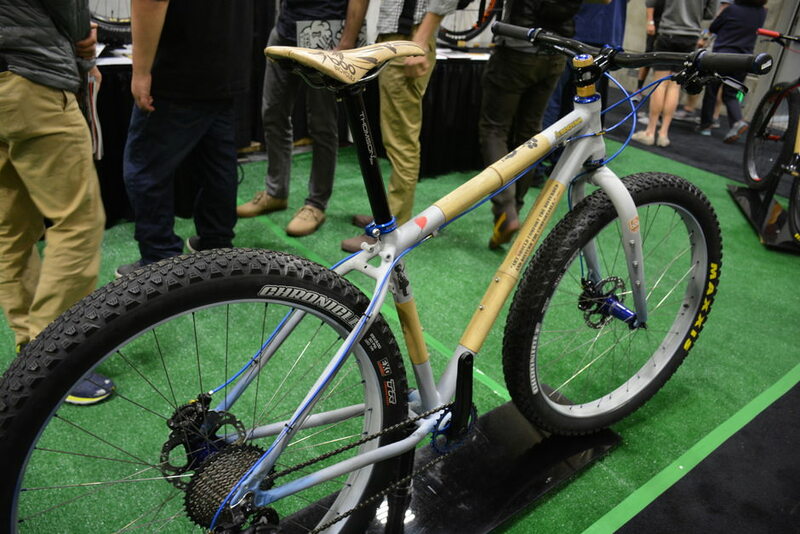 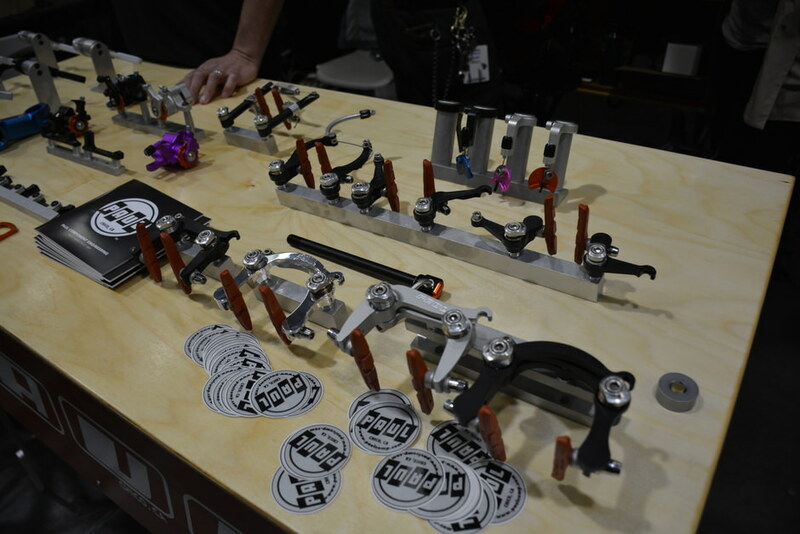 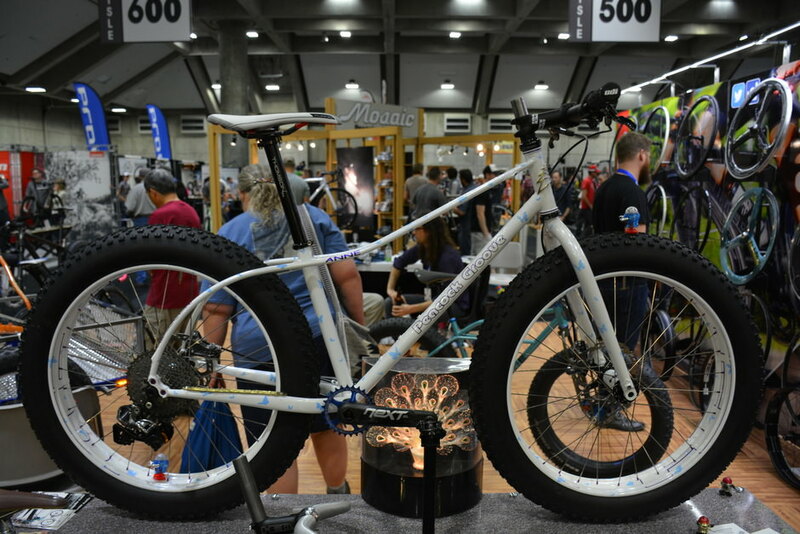 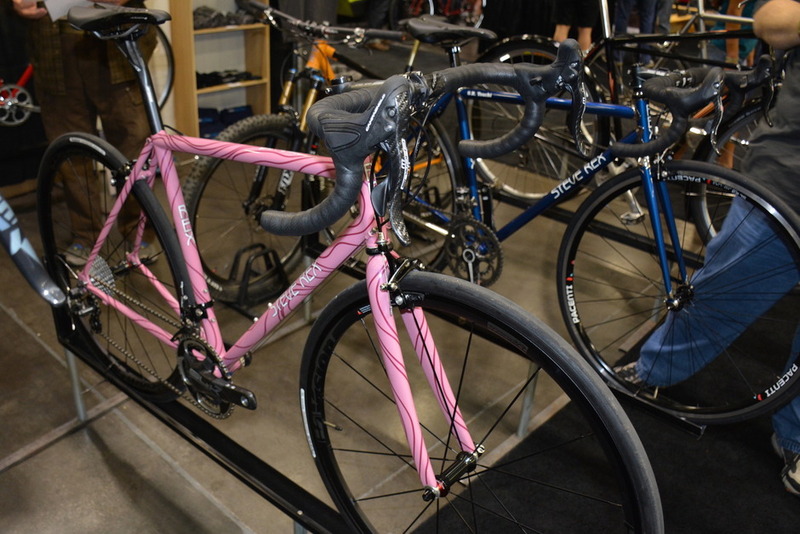 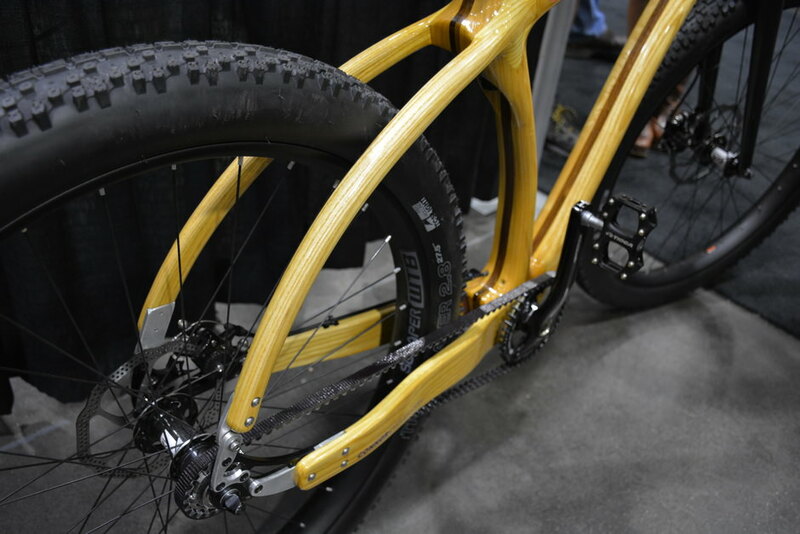 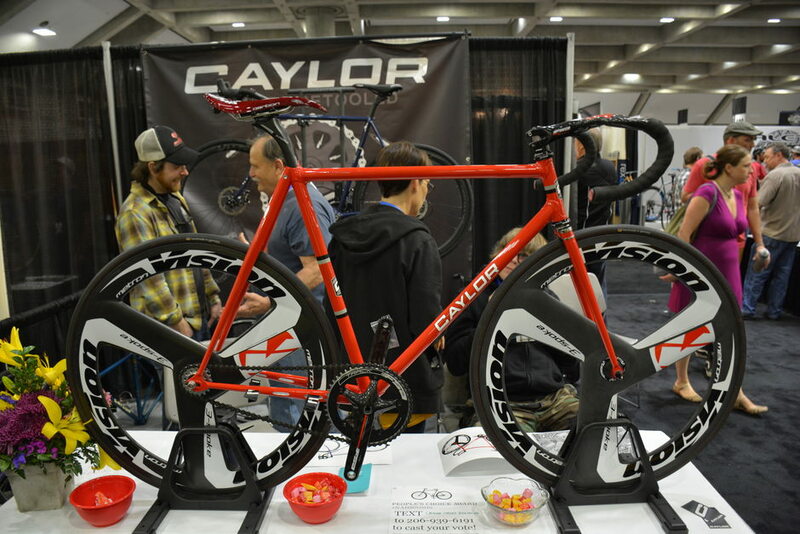 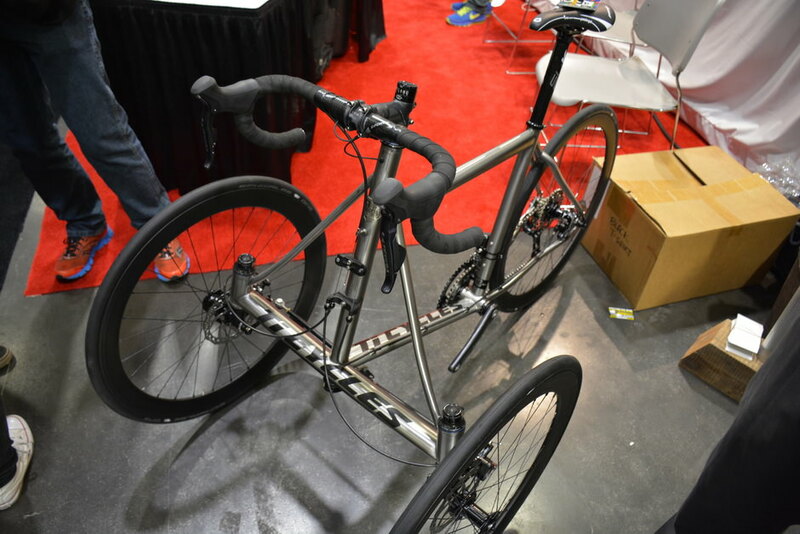 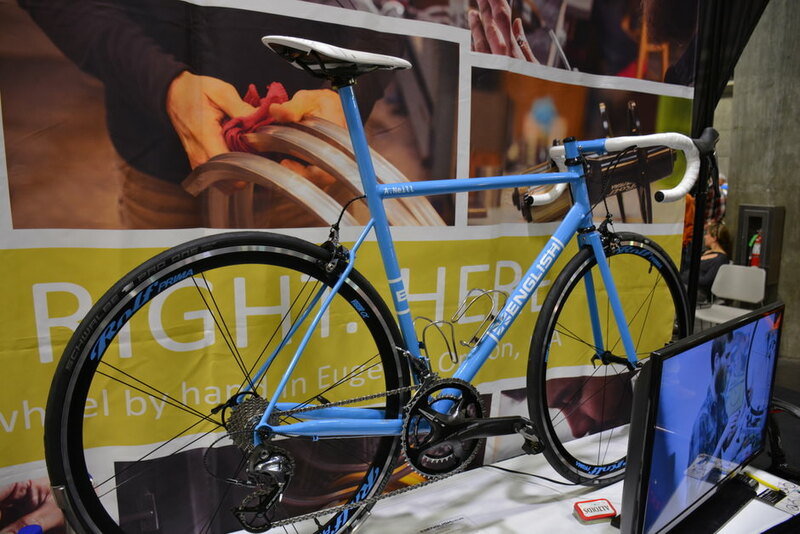 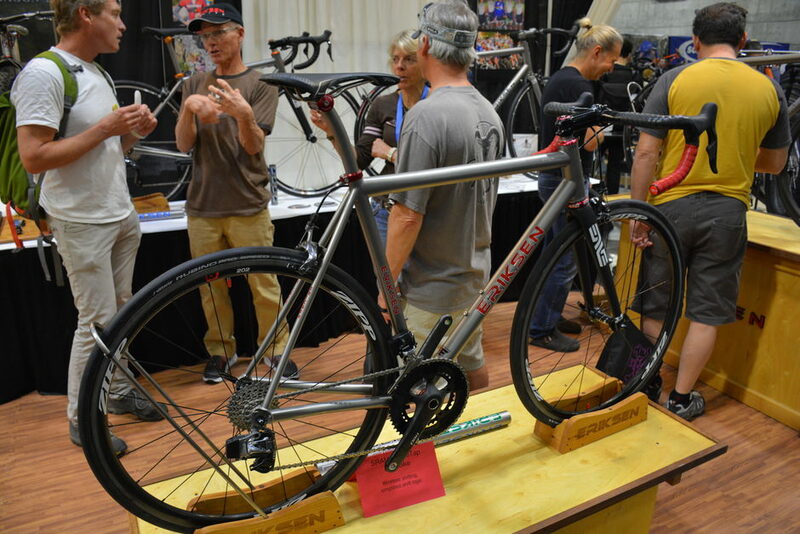 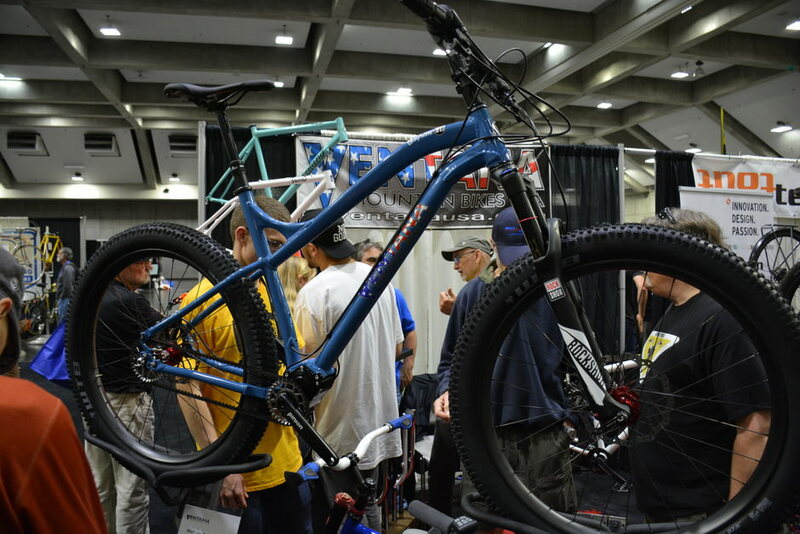 The North American Handmade Bicycle Show took place in Sacramento, CA this year, and we've got coverage provided by Rob from Domestic Bikes. 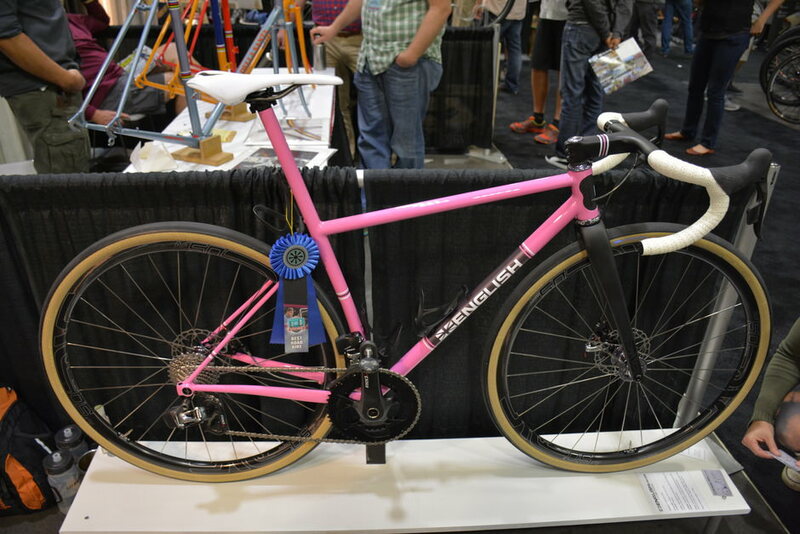 This was my first NAHBS and I can say it was definitely worth the trip down to sunny Sacramento, California! 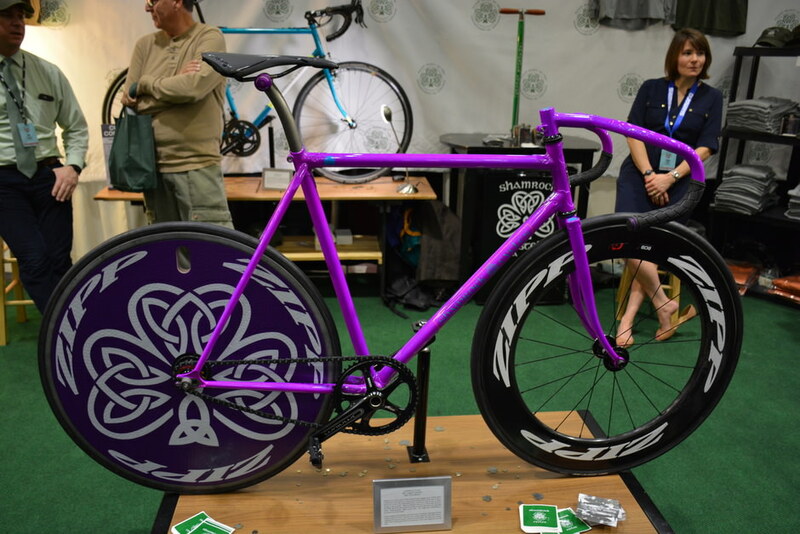 I got to see the latest work by some of my favorite builders and learn some new names as well. 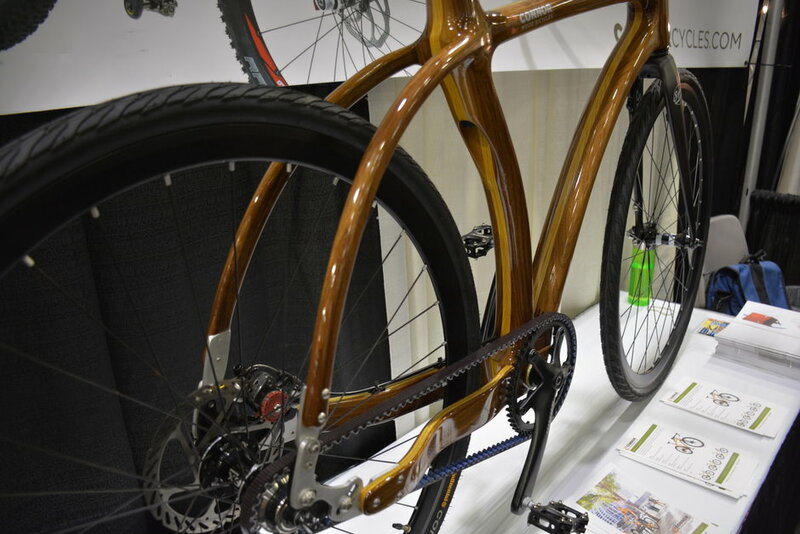 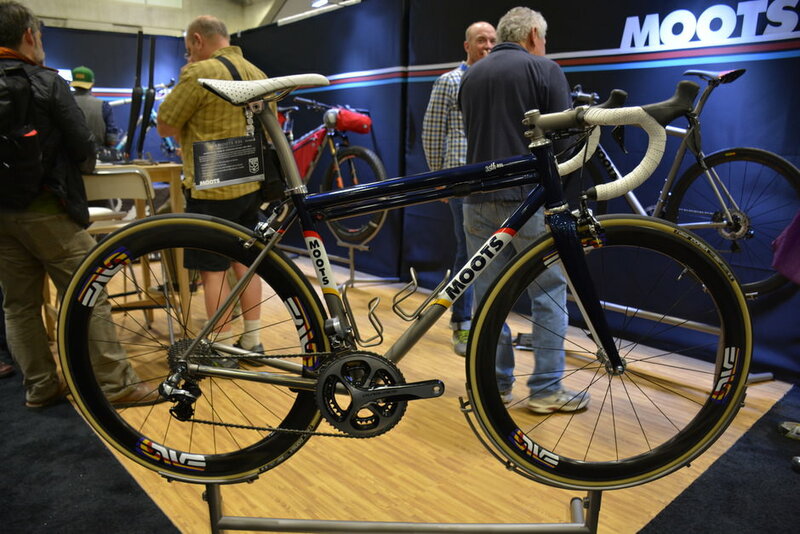 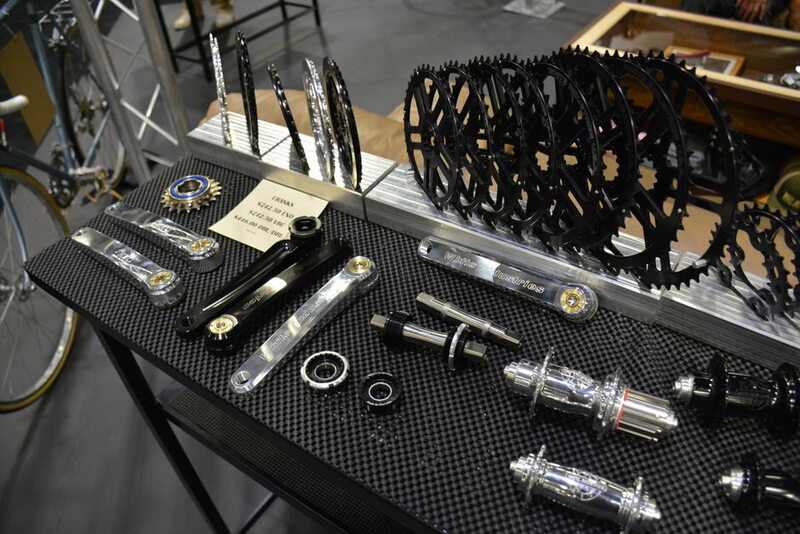 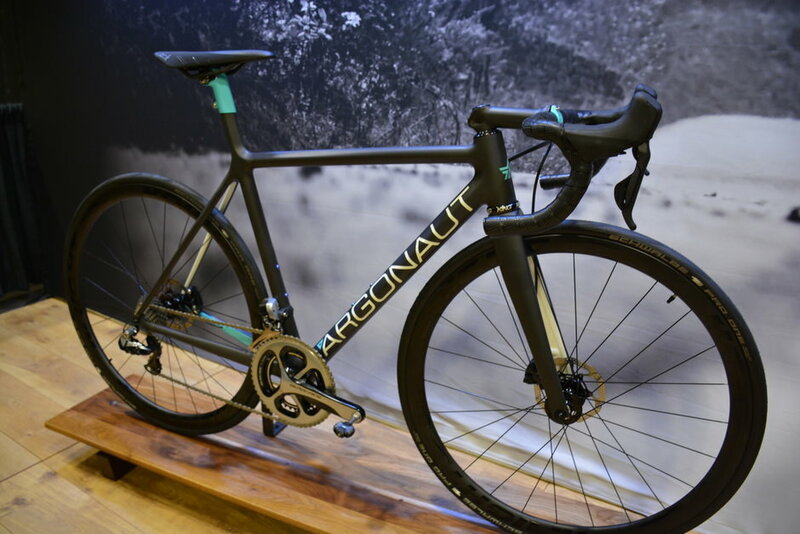 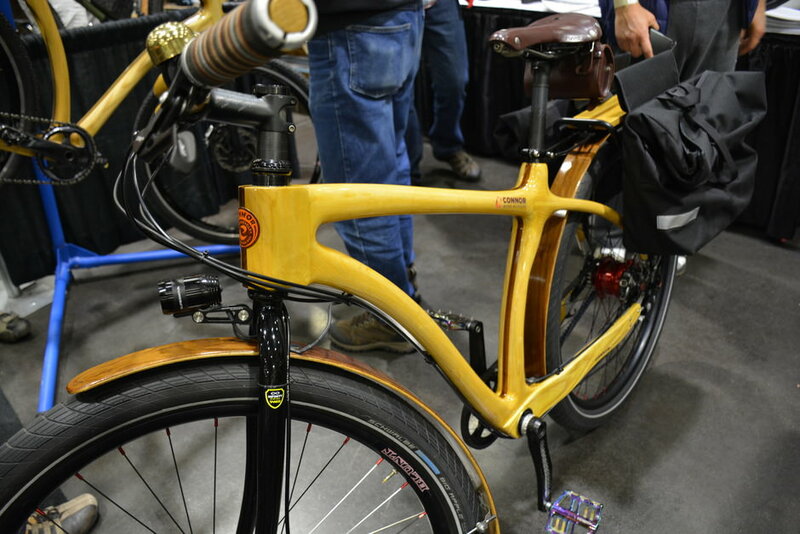 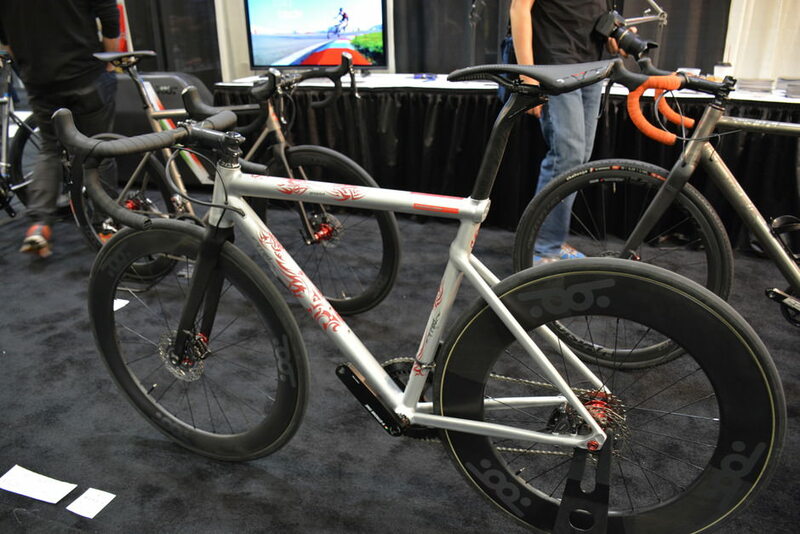 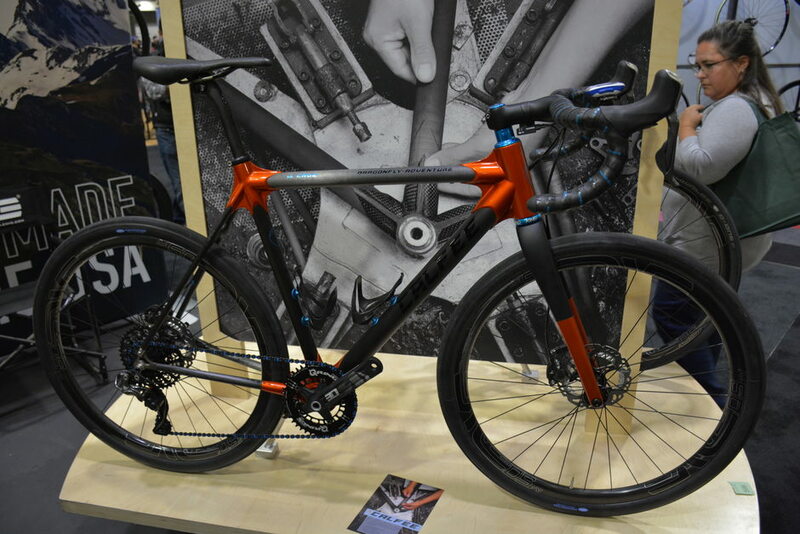 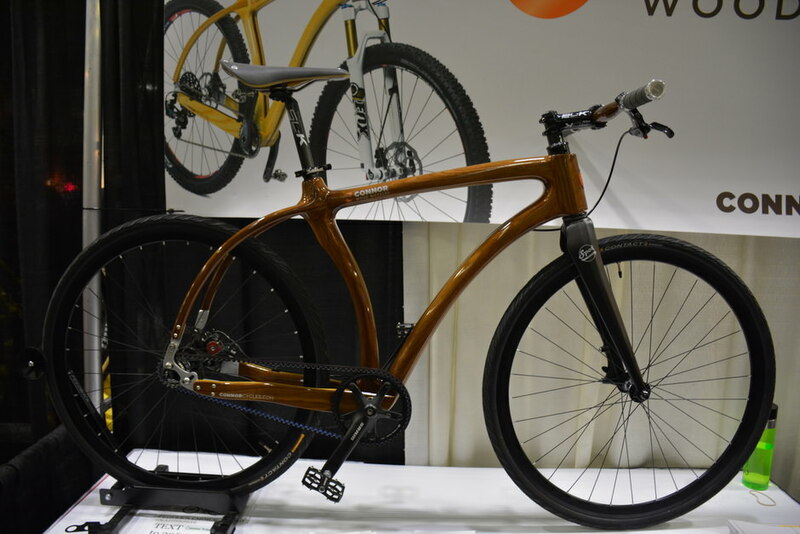 Steel was the dominant material at the show, though ti, carbon, aluminum and even wood were all on display. 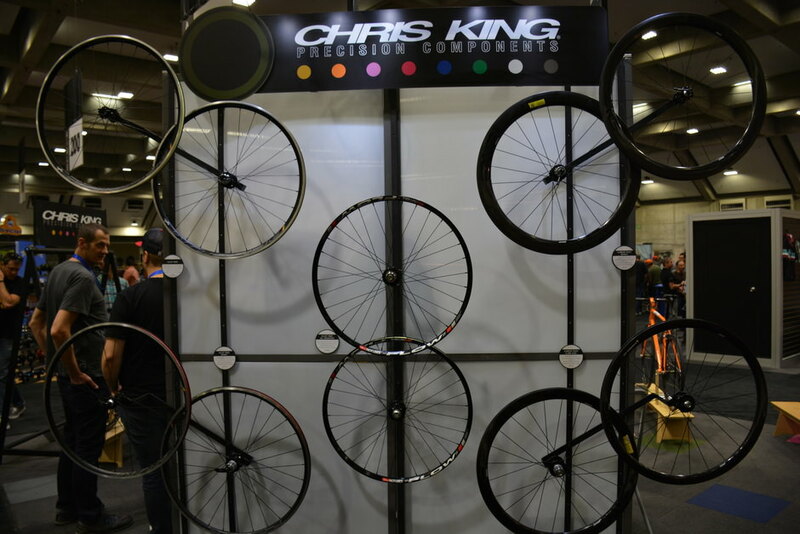 And of course legendary American parts makers such as Chris King, Paul Components and White Industries were there in force. 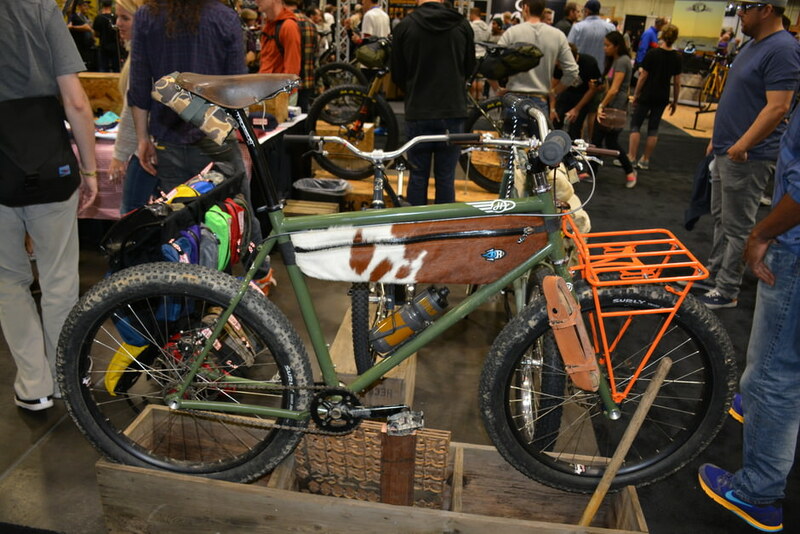 The builder who “won” the show in my eyes was Rob English of Eugene, Oregon, who had crazy innovative bikes scattered throughout the show. 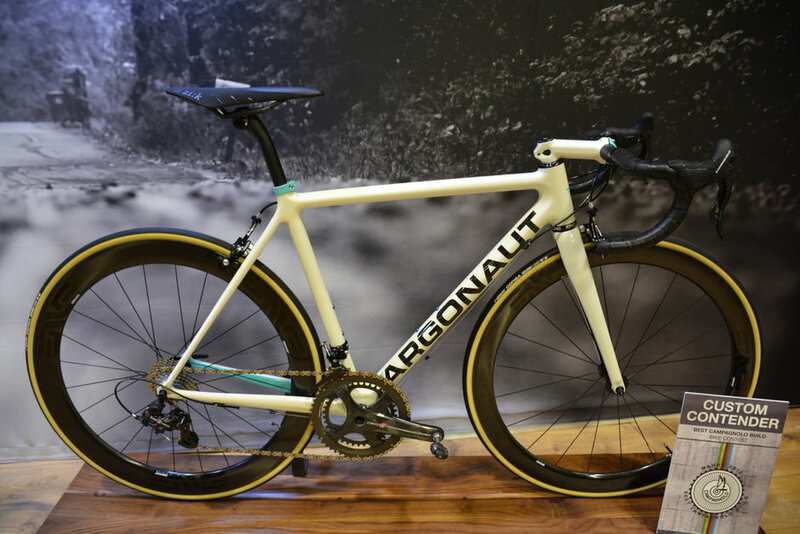 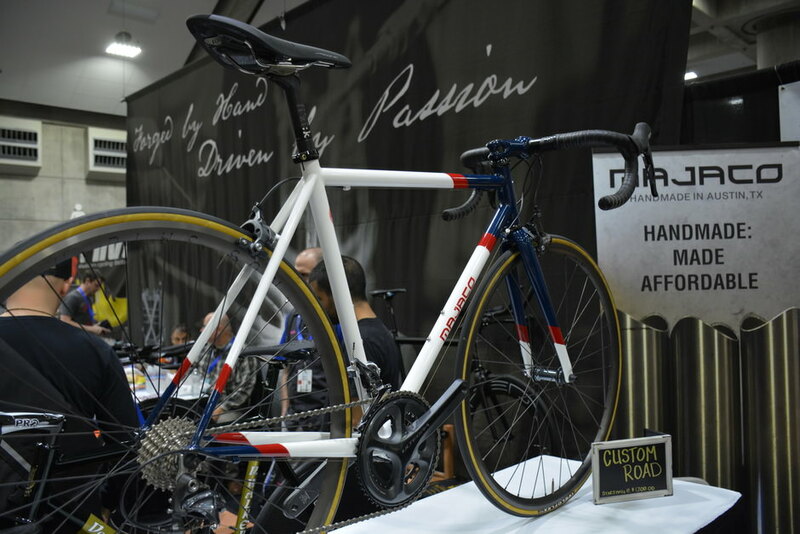 In particular, I loved his Graeme Obree tribute bike, which was simply stunning. 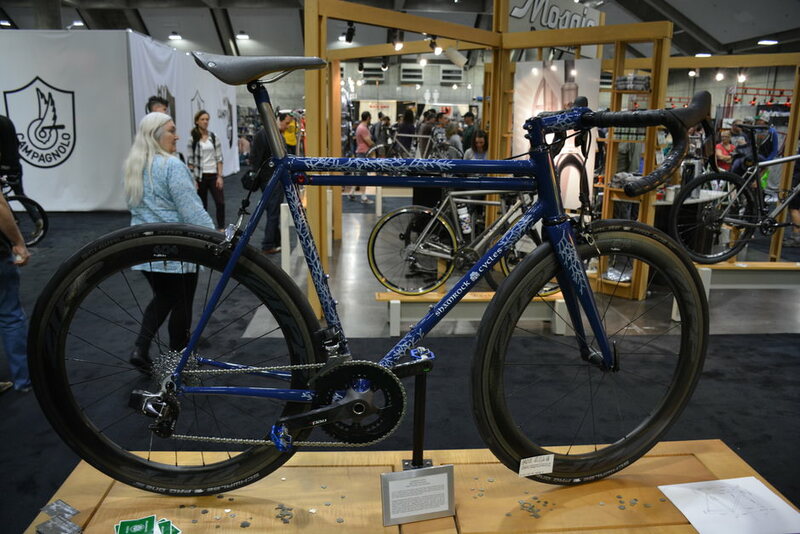 Being a Nor Cal kid I loved everything on display by Soulcraft and Sycip, and I enjoyed seeing the new collaboration between Paul Sadoff and Bruce Gordon—Schnozola. 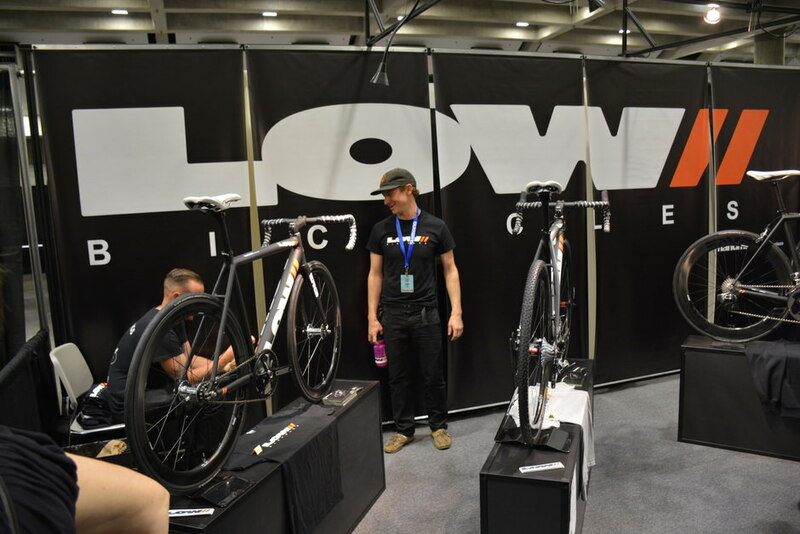 Hometown favorite Steve Rex had an impressive display on hand, and Seattle was well represented by Maxwell Kullaway of 333 Fab. 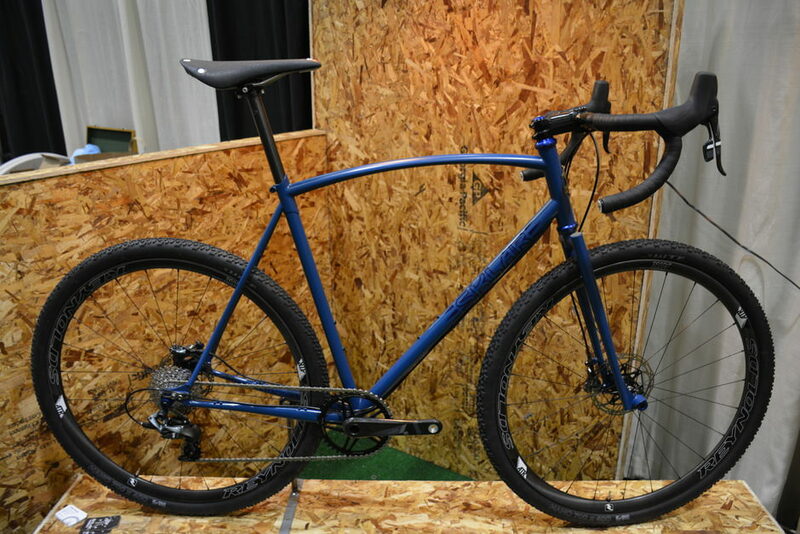 And new (to me) builders? 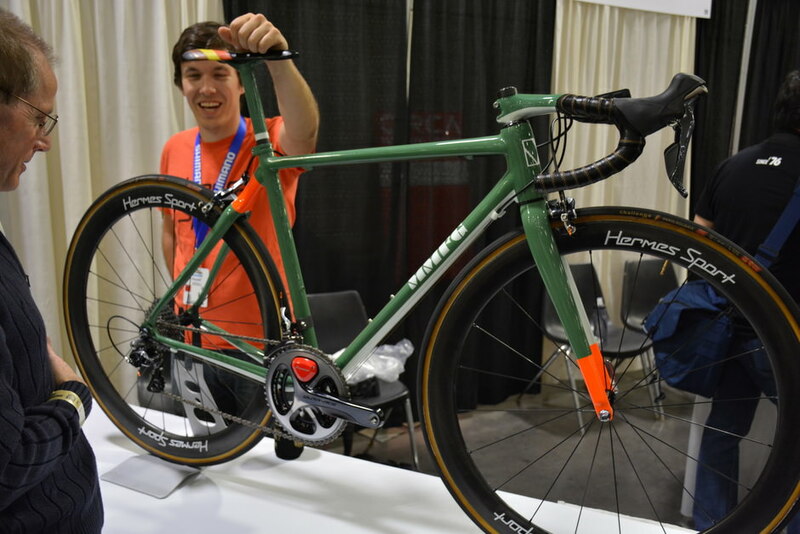 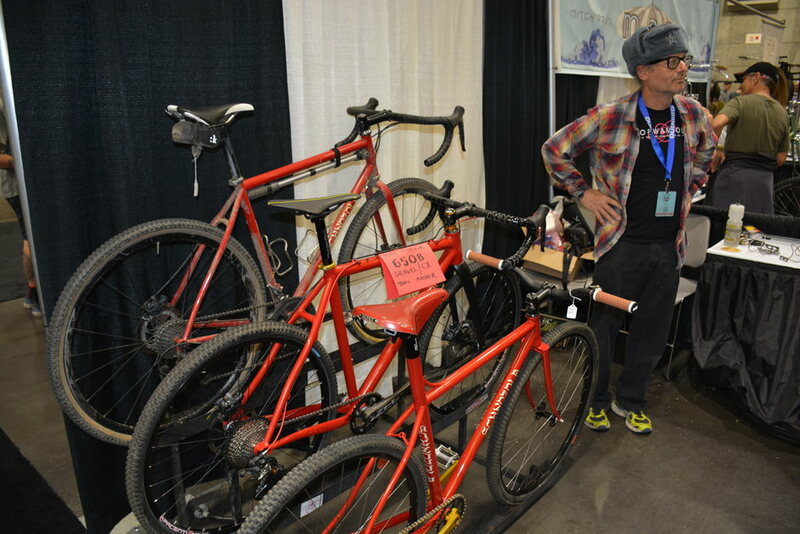 How about San Francisco’s Andrew Low, with his cool purpose-built aluminum race bikes. 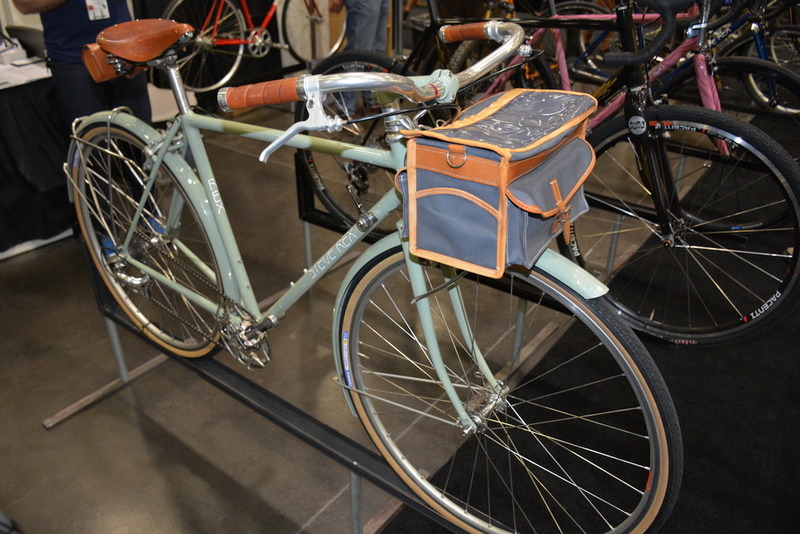 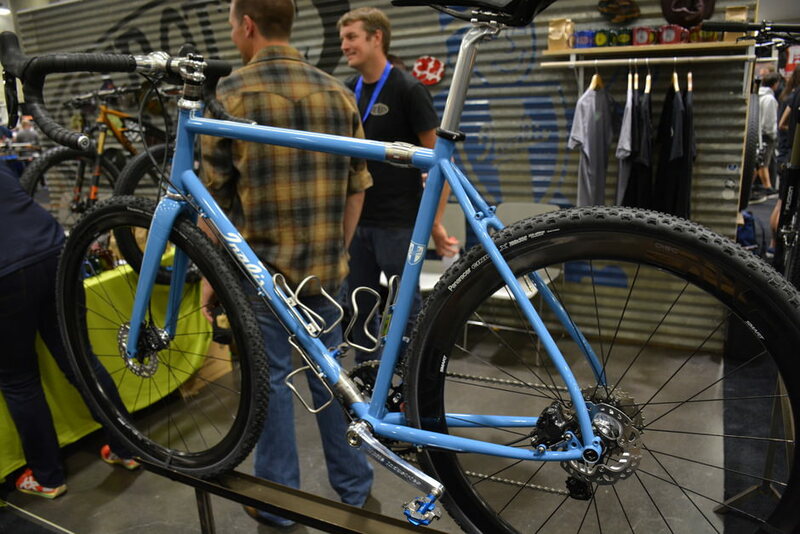 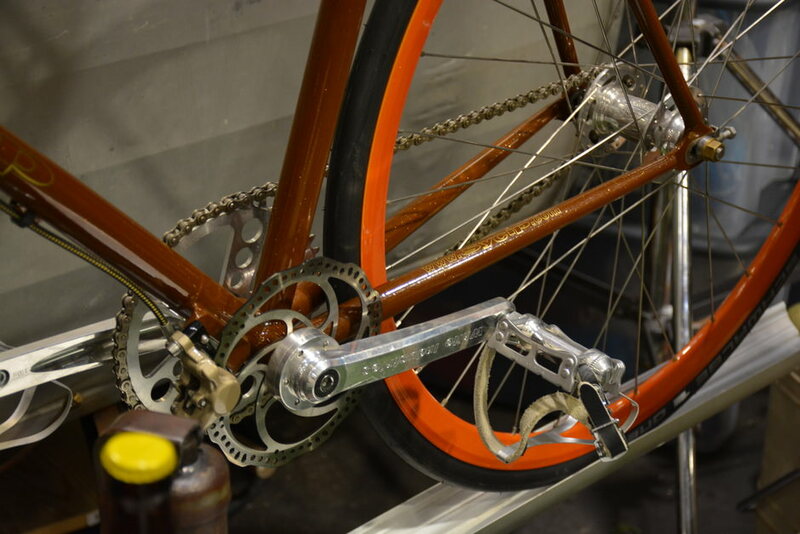 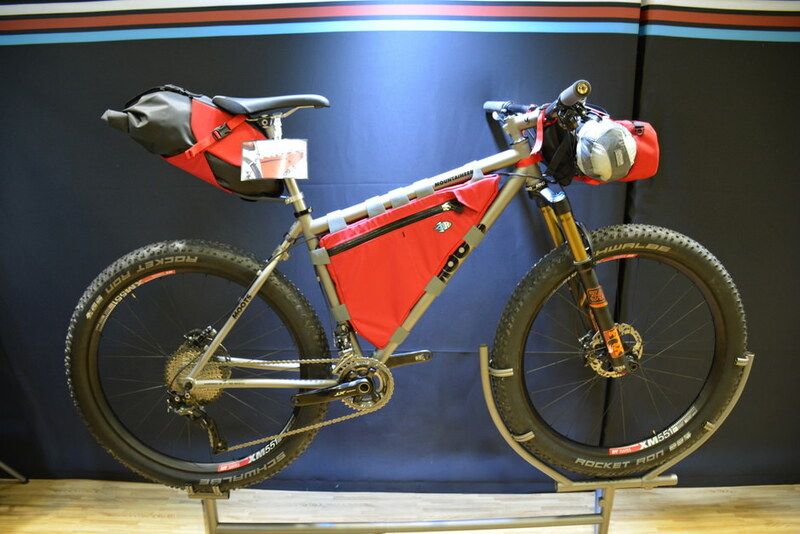 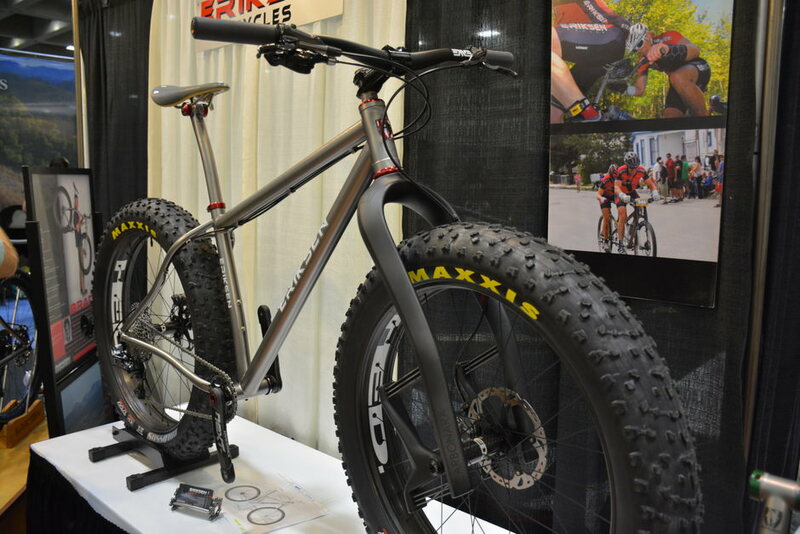 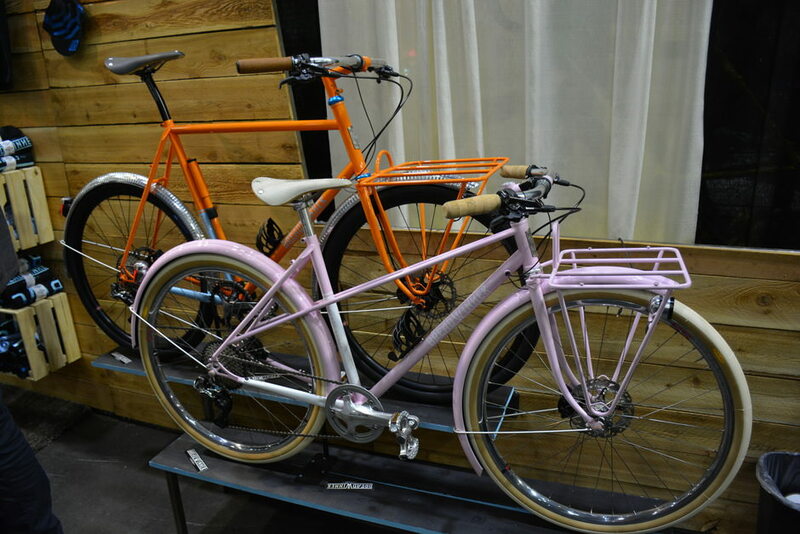 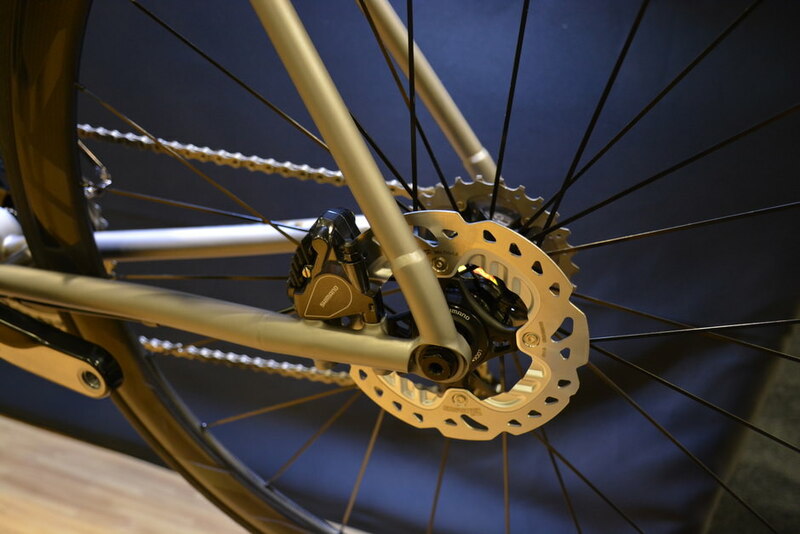 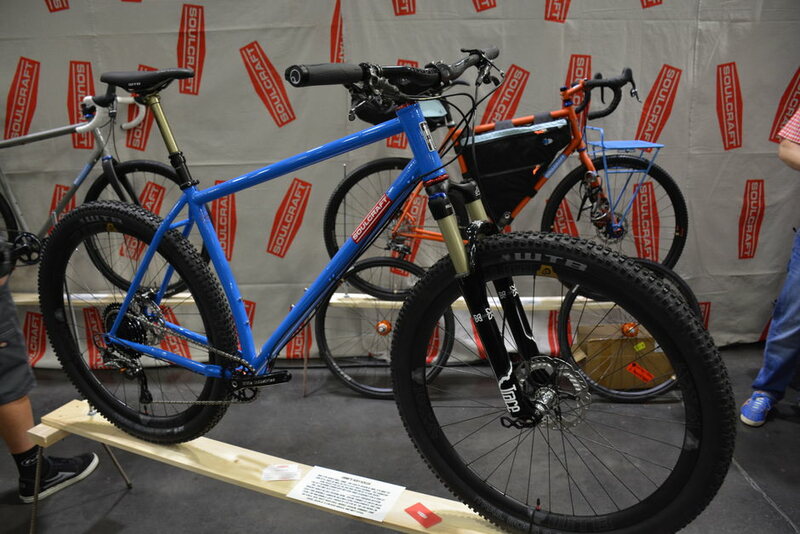 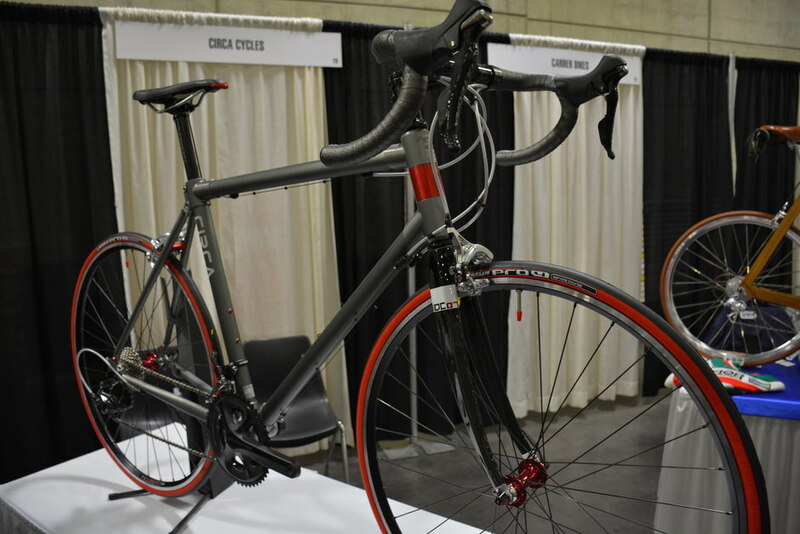 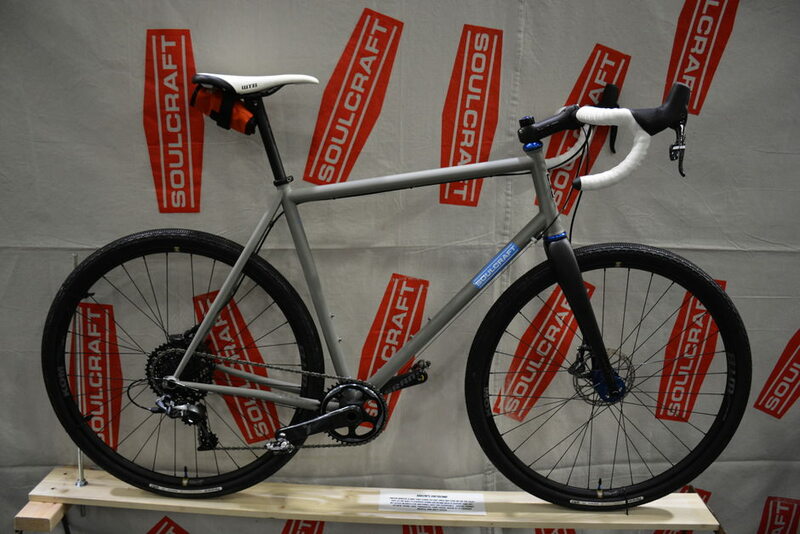 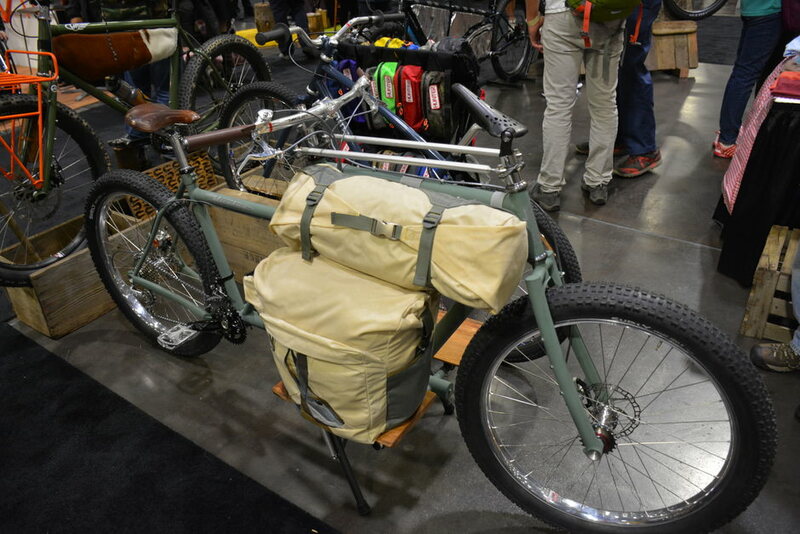 Or the innovative and affordable offerings from Circa Cycles in Portland. 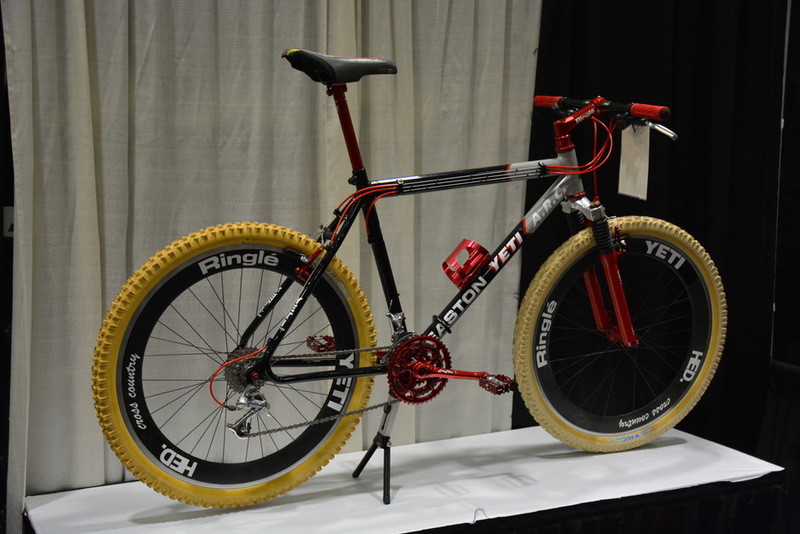 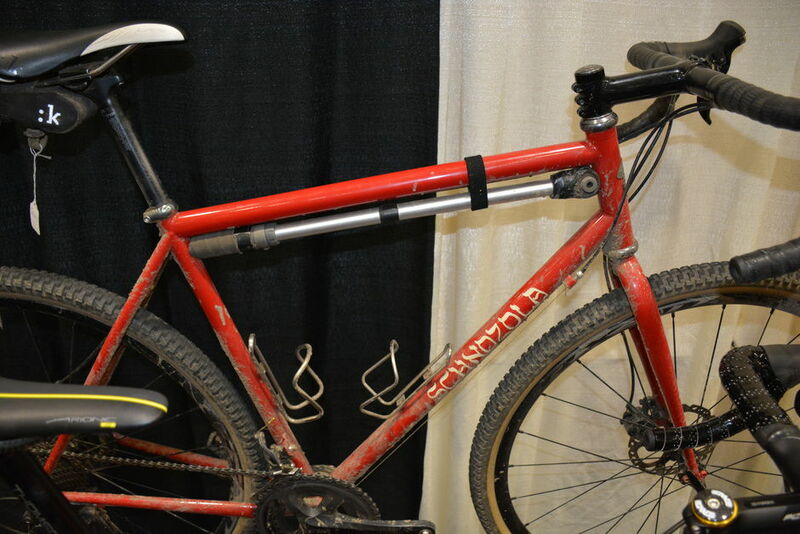 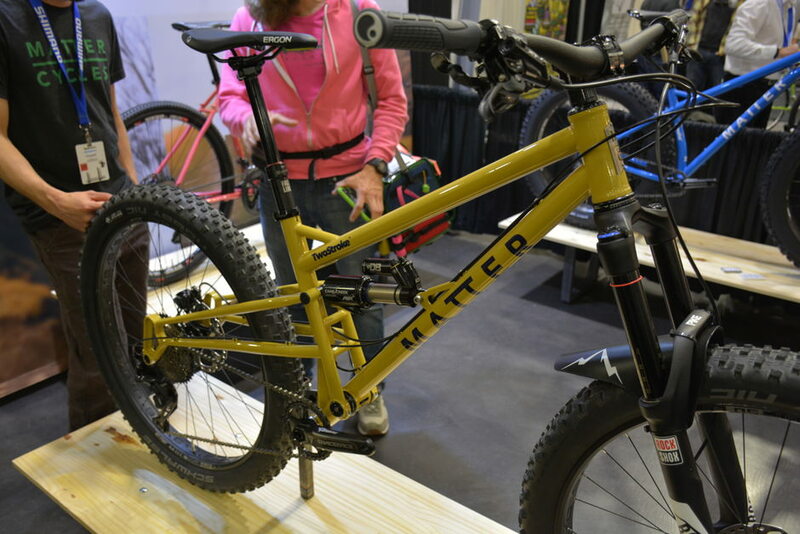 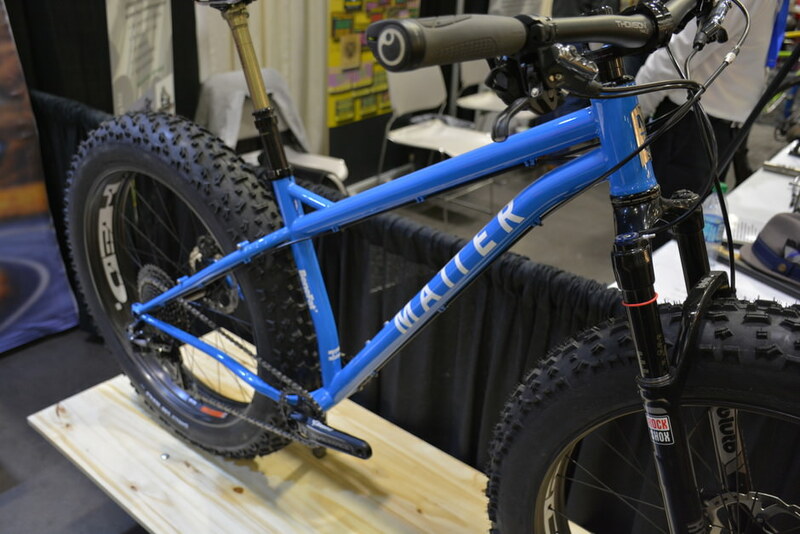 Or Collin Schaafsma of Matter Cycles, who built an awesome steel single pivot 27.5er that reminded me of my old SC Heckler. 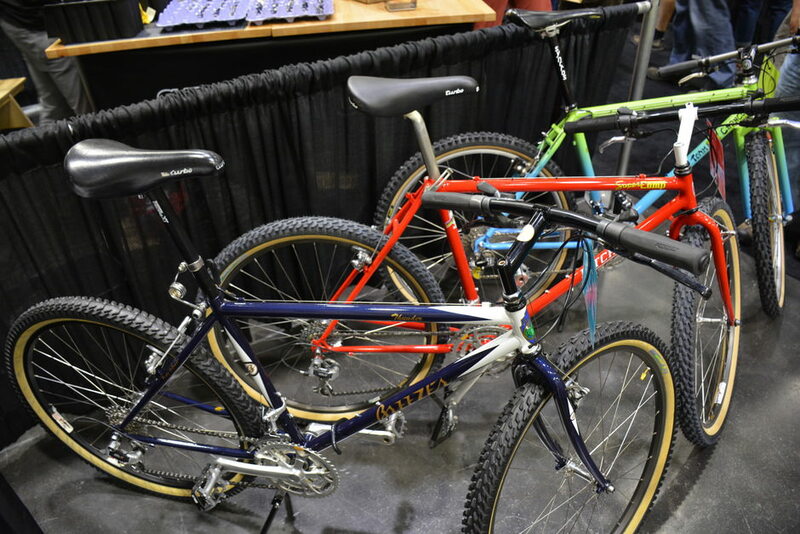 It was great to see some of the old stuff, too. 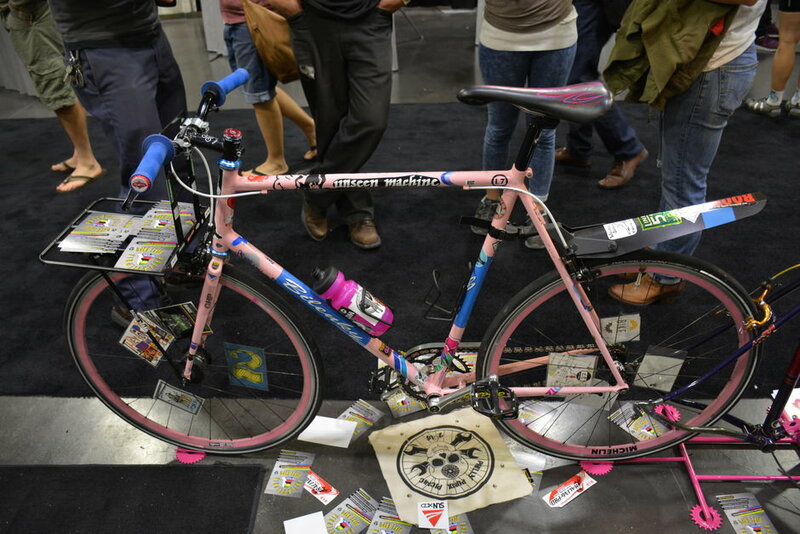 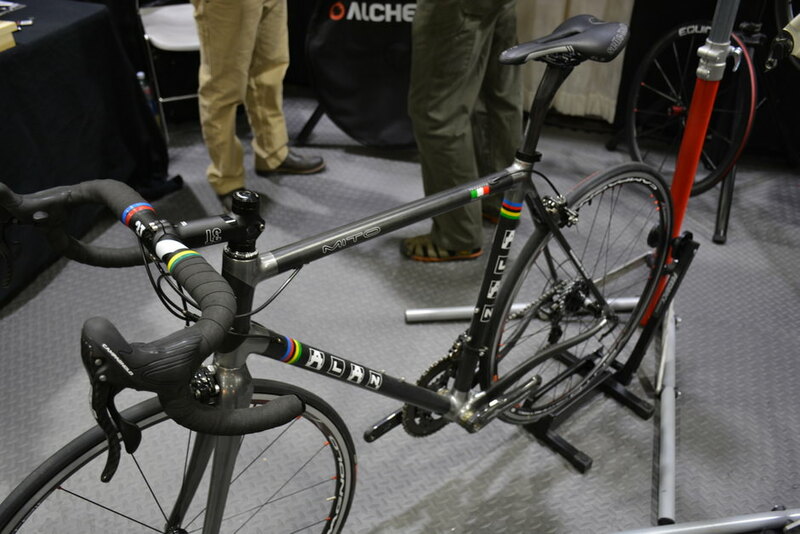 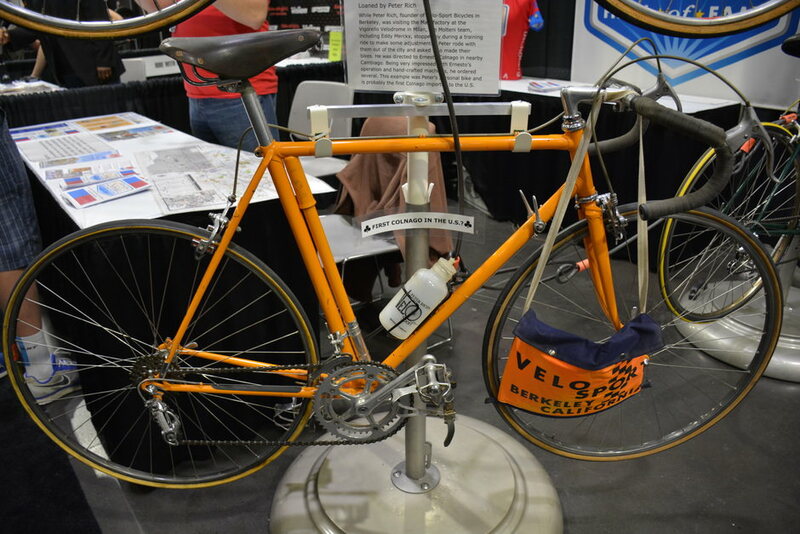 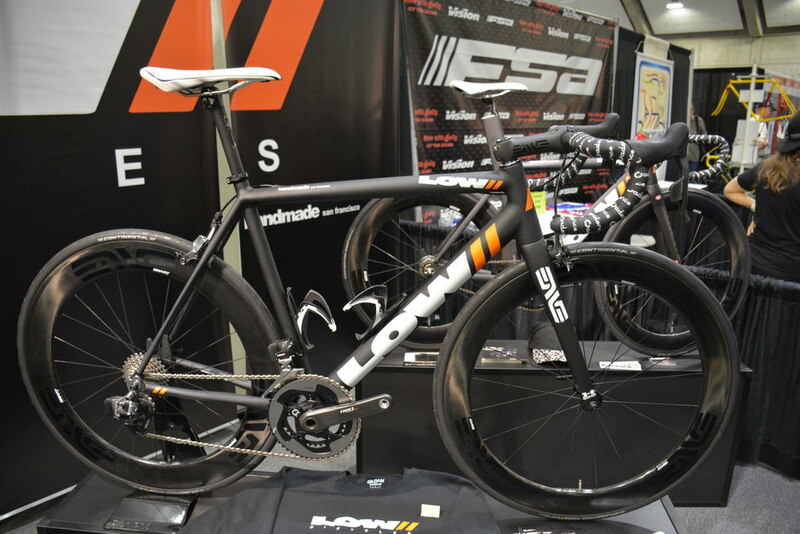 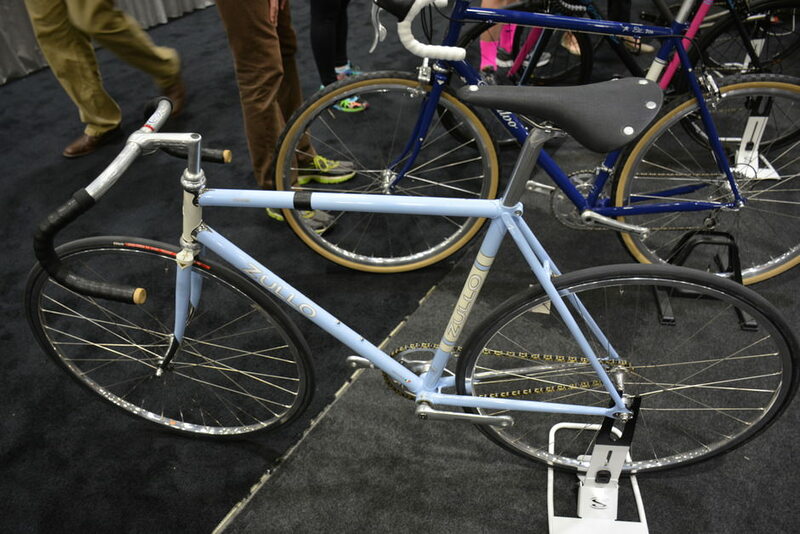 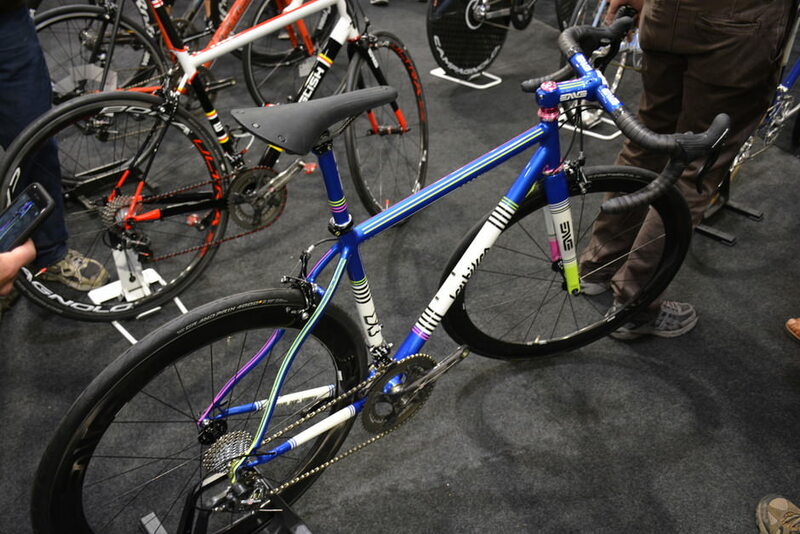 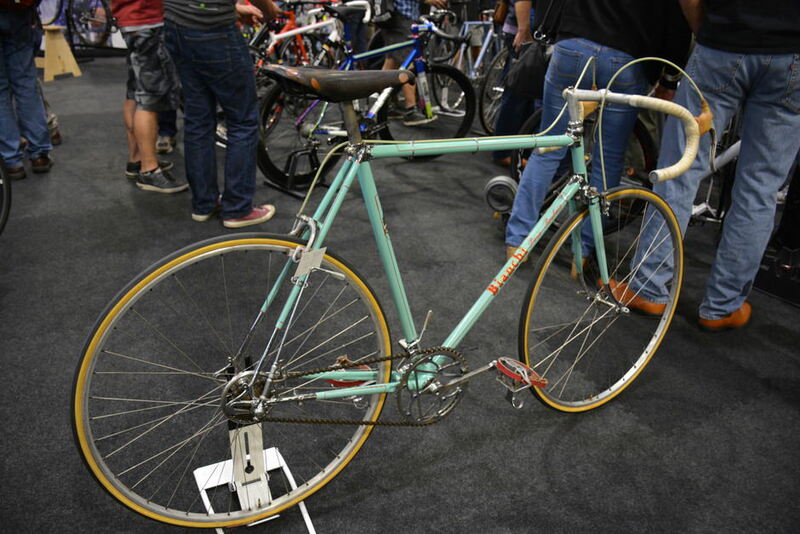 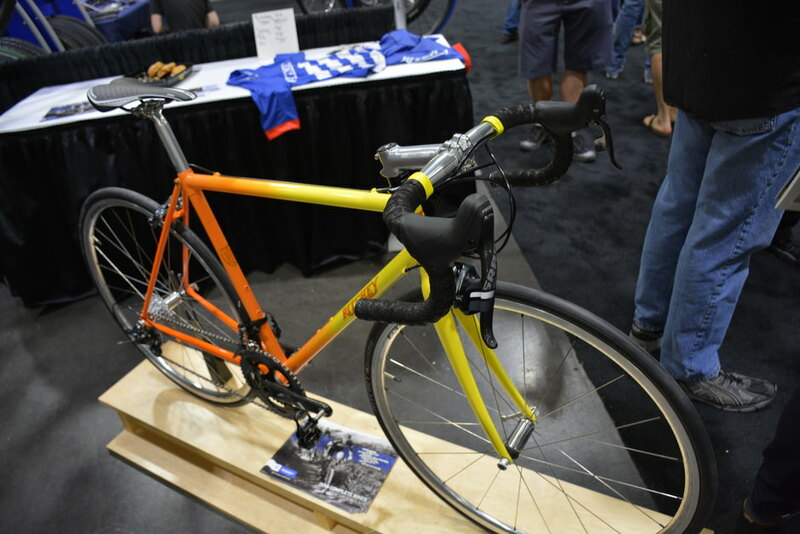 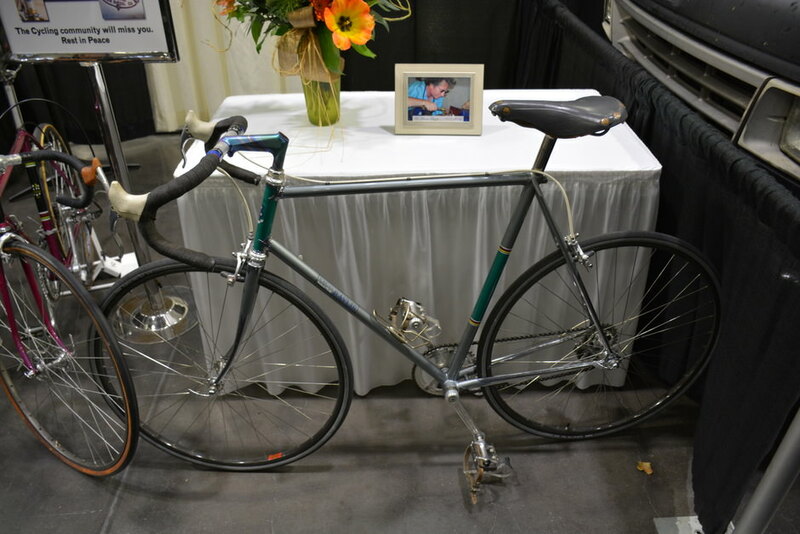 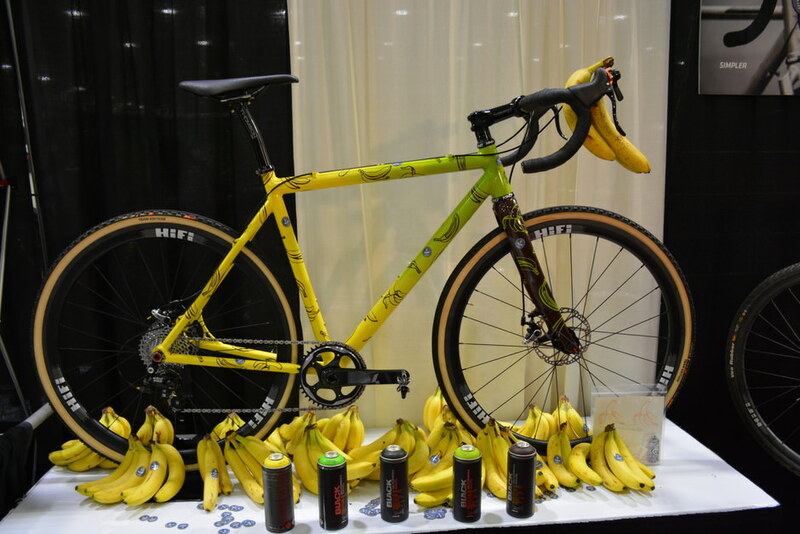 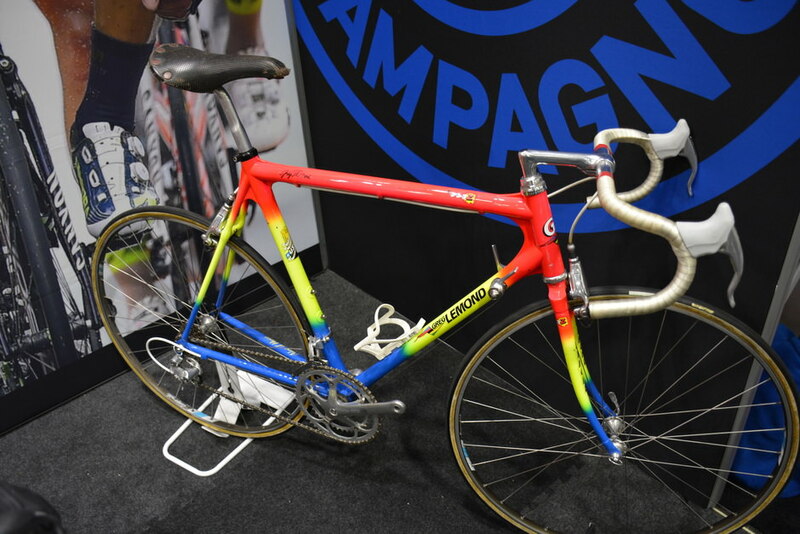 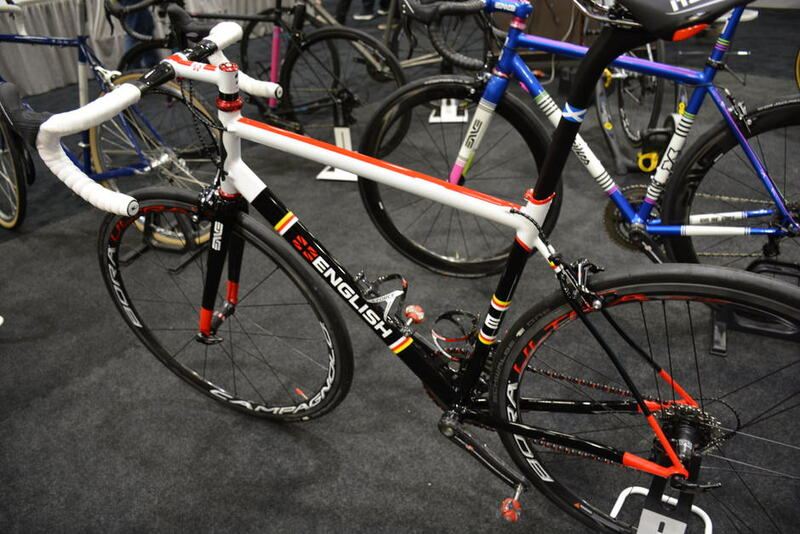 I loved seeing Greg Lemond’s old Team Z Calfee race bike in the Campy booth. 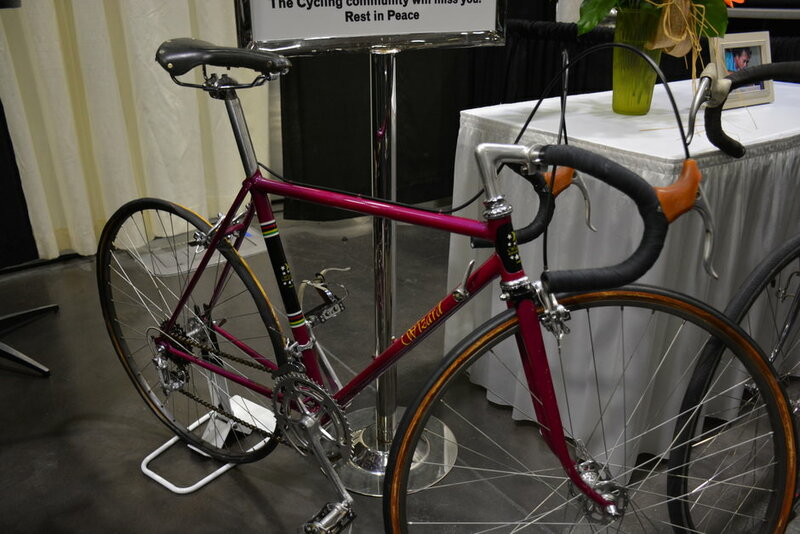 And there was a nice tribute to Brian Baylis, who passed away earlier this month.